This topic contains 450 replies, has 12 voices, and was last updated by faljak 1 week, 5 days ago. Isn’t this the truth?! 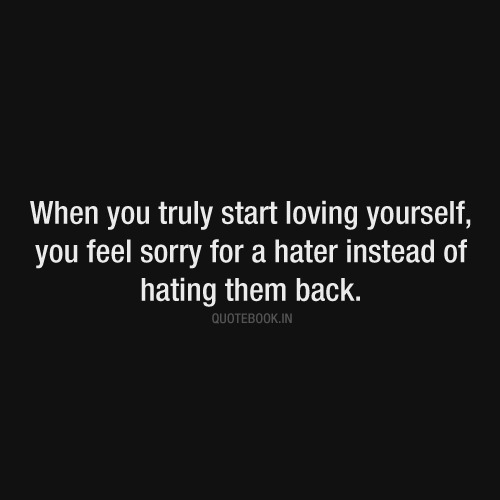 When I finally started to love who I am, I felt bad for those who could not simply be happy for me or with me. 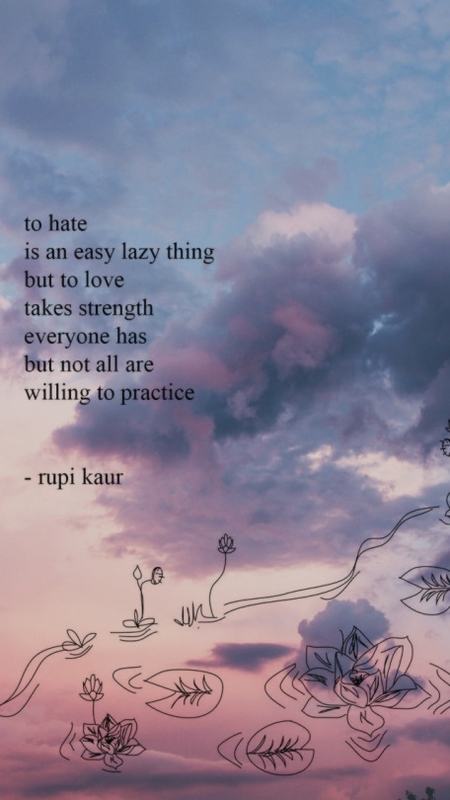 Hate is such a useless emotion or trait to have in my opinion. I think we should be lifting each other more, rather than putting others down. 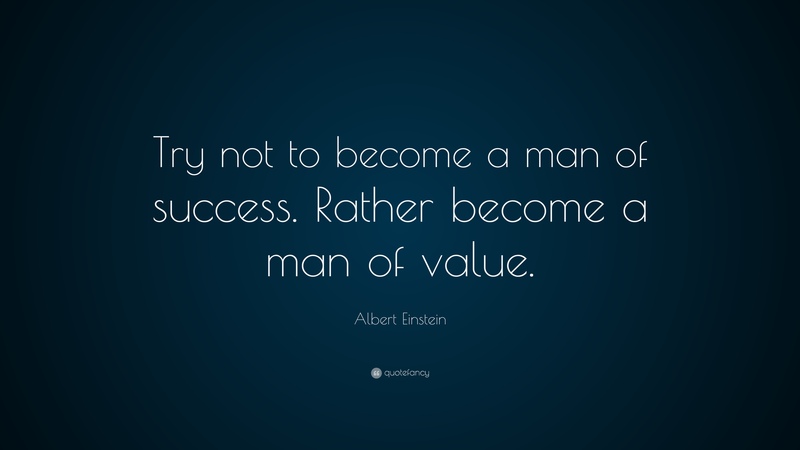 I chose this as my quote for today because I feel that so often as young adults we are looked down upon because we are too young or “lack life experience.” I feel as though maturity does not come with age, and success comes with hard work not with a number on a scale. The more aware I became with detail, my surroundings, my choices etc., the more I became positive. 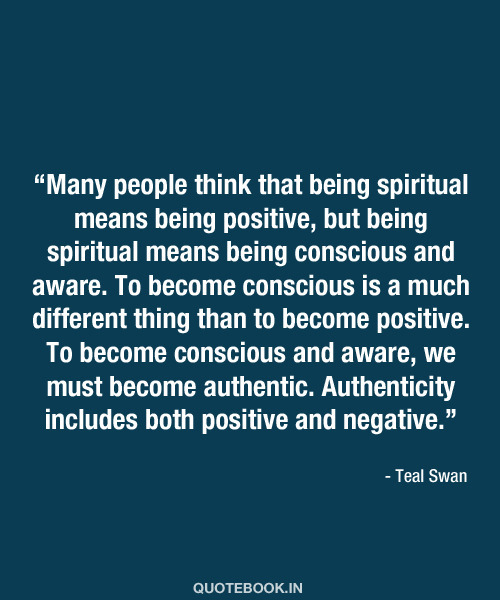 However, negativity still plays a factor in life; we can deal with that negativity very different when being aware and conscious. 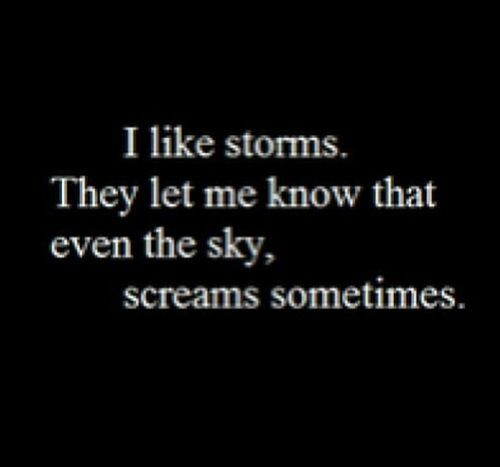 Not everything is a crisis to me anymore, and I can deal with things head on. 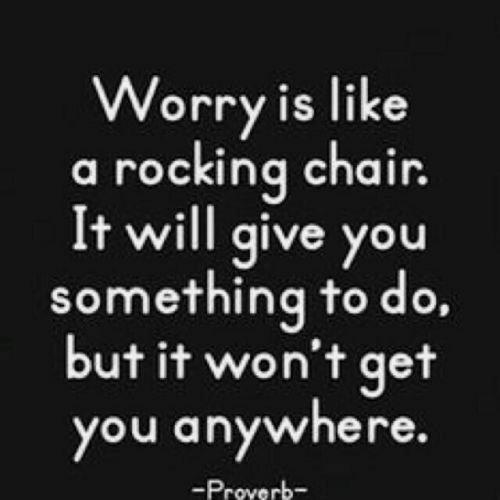 My quote of the day is, “Pray before you overthink”. It’s easier said than done sometimes, but it helps remind me to center myself before getting lost in my mind. sometimes I create a whole forest of thoughts in my mind that weren’t even necessary. I tend to jump to things and already make decisions, without even talking to my ultimate guidance first: GOD! 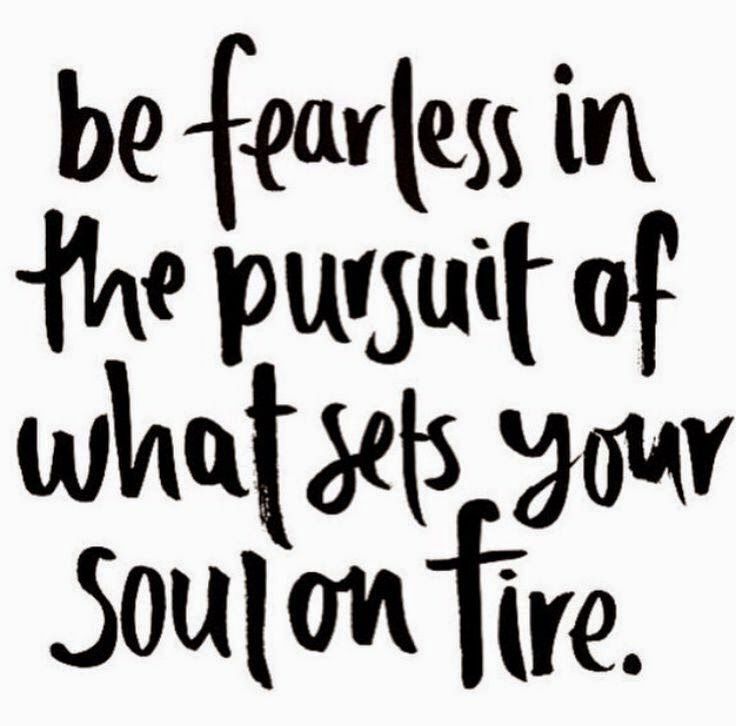 This is my quote for today because I want to be able to work so hard and have so much dedication that I make such an impact with my career that everyone will know who I am and what it is I stand for. To me it will not be about the money, or being recognized by the most prestigious of places or people, but rather all the people I will have reached by the time I am through with my work. I love that quote- “Pray before you overthink”. Thanks for sharing! Luz, you always have the best quotes! I have an upcoming appointment that I am very anxious about and all I can do is think about it! After seeing this quote I know that I will just pray about it! I too really like the quote “pray before you overthink”. I find myself stressing about things that may not even ever happen. I could keep myself calm so much easier by saying a quick prayer. I think this is very important because with so much chaos constantly going on around us, there must be some time dedicated specifically for winding down and relaxing our minds. With technology going up in every direction and kids refusing to communicate face to face anymore, I feel we are going to lose a grip on reality if we don’t disconnect from everything around us, including electronics, and simply allow ourselves time to breathe and focus on all that is good. 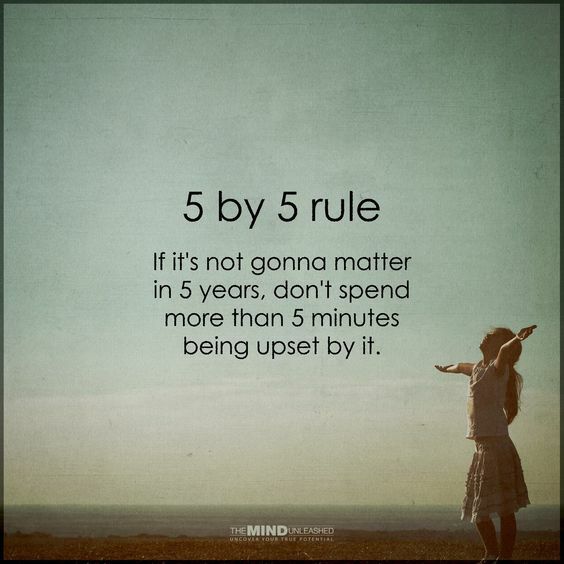 To me this is so vital to everyday living, for if we want to take a deep breath and improve on certain things, what will the point be if no difference is made or noted? In order for a breath to make its full impact, one must do the full exercise and both breathe in and out to gain the benefits. When we only do half of the work, nothing will change and our body will not benefit. As is life- if we work on something trying to just get by, we will never reap any benefits. Meanwhile, when we give more of ourselves, we will see the impact we are making for the greater good. Often times, I find myself making a complete fool of myself or being the silliest me I can possibly be, something I find extreme comfort in these days since not too long ago I was frightened to let loose and be my authentic self. In those moments, my boyfriend and other loved ones may look at me with such a perplexed look upon their face, often ashamed to be seen with me. Also, many times when I am being very loud within my apartment, I am told to lower my voice because others are concerned for what others may think based on what I say. I love repeating the same thing back to them, which is: “they don’t pay my rent!” Why am I going to allow someone who doesn’t have any impact on my well being or have any right to determine my emotion because they aren’t doing anything for me, take away my happiness? Forget that! I’ll be loud, giddy, obnoxious, joyous, happy, funny, annoying, embarrassing, etc., until I am doing something that I know is causing harm to someone else. Until then, I am not going to let ANYONE, or ANYTHING, dull my sparkle. Great quote! 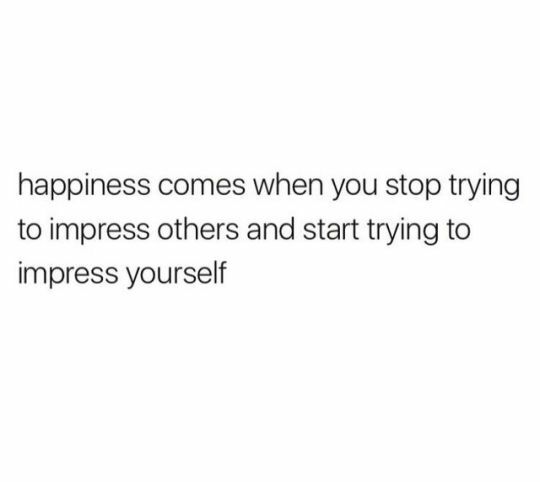 This is definitely the formula for happiness and confidence in today’s society. 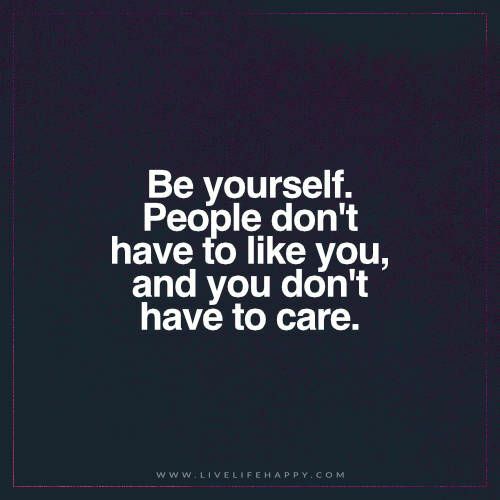 It is so important to be yourself and to not be ashamed of it. No one likes every person they meet. All you have to do is find the people that do like you! Sometimes it is hard to not care what people think about you. However if you focus on the people that do love you, the others will slowly fade out of your life. Thanks for sharing! Life may take you where you least expect it, but have faith you are exactly where you are meant to be. Many times I have wondered if making the choice to work and not finish college was the correct decision. Nevertheless, when I see the positive impact I am making on others’ lives with the work I do I know for a fact that this path is the right one, even if it isn’t the ritualistic- graduate high school- go to college- get a job-routine. I am making a difference and I am where I need to be. Wish I could double tap and like this! Everyone’s journey is different… I’ll see you at the top Luz! 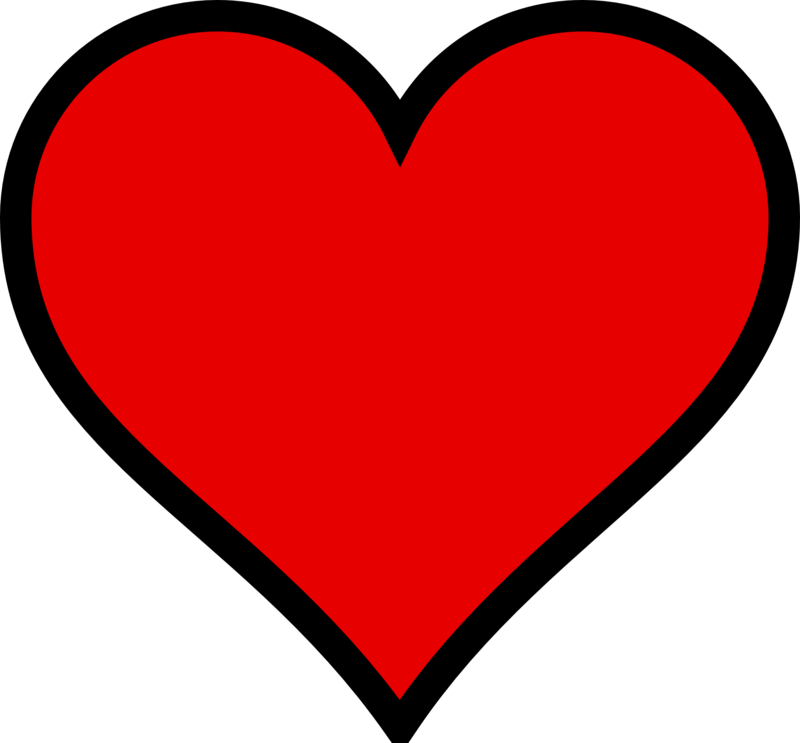 I am super proud of you for being able to realize your importance and your path… that’s huge! 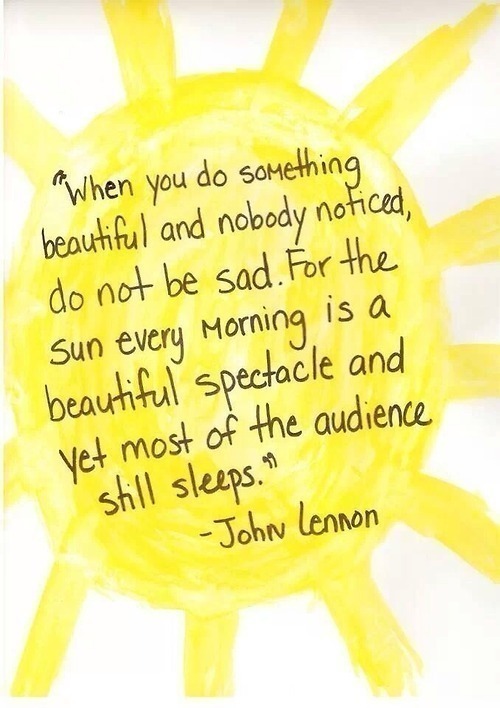 Do your thing and keep shining. You’ve got it! 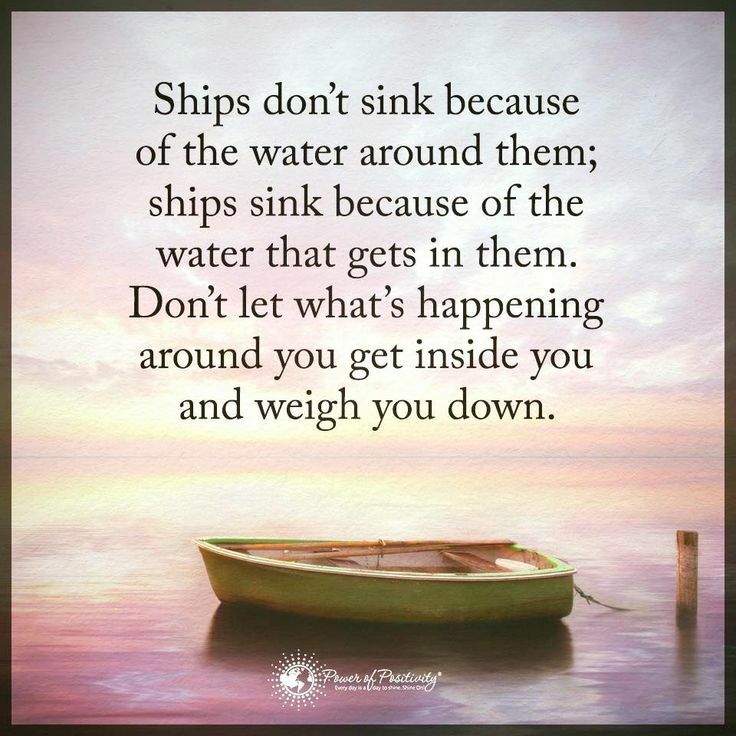 It is often hard to realize we have the power to get unstuck from situations that seem like they are permanent when in reality they really aren’t. By viewing things from a different perspective, we allow ourselves to be open to an entire new realm of possibilities. After all, we are the only ones that limit ourselves, besides that, the sky is the limit. We have the say in when we choose to give up and let our battles win. We can either live life hopeless, or live each day feeling invincible. The power is all in our minds, and what we truly believe is reflected in our everyday attitudes and actions. Be more than what anyone said you would be. Be greater than you ever thought you could be. Accomplish the unthinkable. Simply be great! “The power is all in our minds and what we truly believe is reflected in our everyday attitudes and actions.” !!!!!!! YASSSSSSSS! to that! Thanks for that motivation, you really just boosted me up and reminded me of why I do what I do and why I am the way that I am! 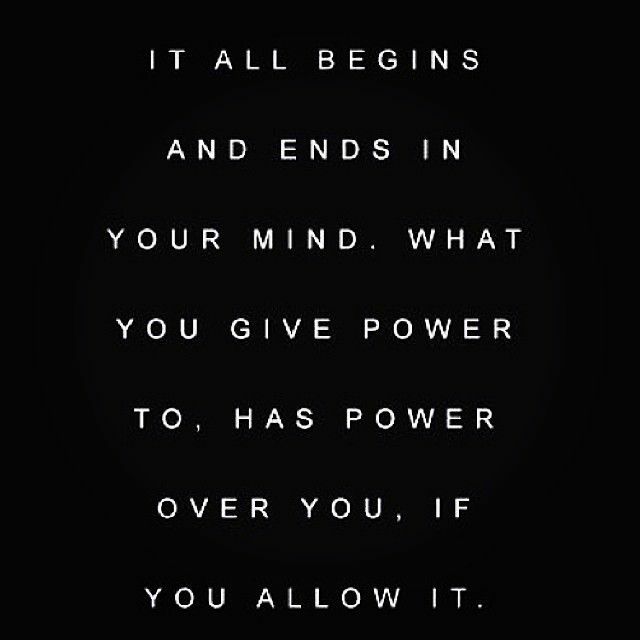 It’s all a mind game… you are what you think! 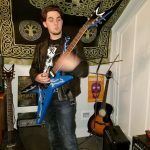 I hope this encourages people to start thinking more positively and to get back out there with a new mindset, You can accomplish anything you put your mind to, make it happen! 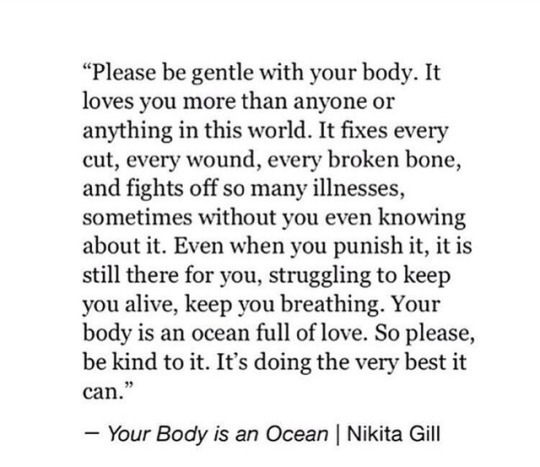 This quote is so short and sweet, but it is so accurate and important as well. By first believing that we are capable of accomplishing anything, we have already set ourselves up as triumphant over any scenario. I am truly a believer in the power that comes from our thoughts and our tongue, and that what we confess will become true. The more we state that something is possible, the closer we will be to accomplishing it. First believe it, then achieve greatness! No one can paint a picture of what our personal success can look like, only we can define that ourselves. Set out break your own records and meet your own expectations, leaving behind the mold that society has set for us from the beginning. When you notice that nothing seems to be changing in the world around you, decide to be the change you wish to see in the world. Most often, the change we desire to see can best be influenced by our living, breathing example. On this road to recovery, we will triumph and we will succeed, but at the same time we will have some of the hardest days of our lives. Although sometimes we may think that we need to be strong and hide what we are truly feeling within us, the reality is that we can all sometimes be hit with difficult situations, but can come out standing tall on the other end. It is okay to feel every emotion within our body, because that is what makes us uniquely human. 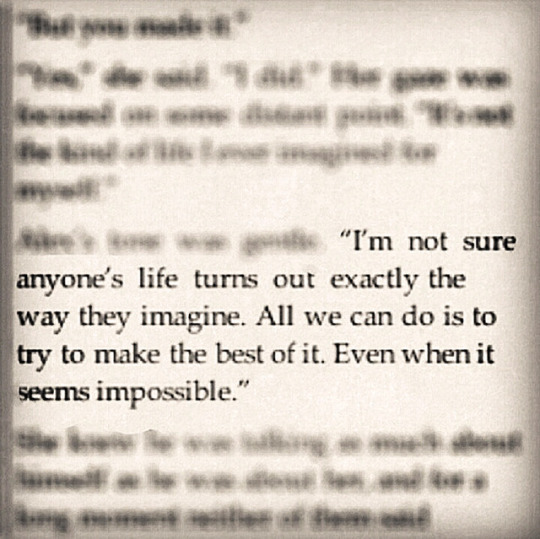 I love this quote. Shows that it is okay to have a rough day or even a rough year! 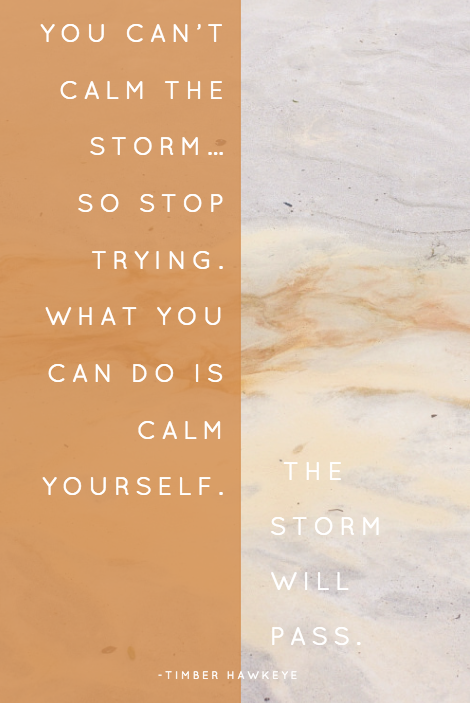 The sky will eventually clear up and things will get better and it is important to emphasize the moment the storm disappears and the sun comes shining through! I feel like all we really have to do is focus on our end point. 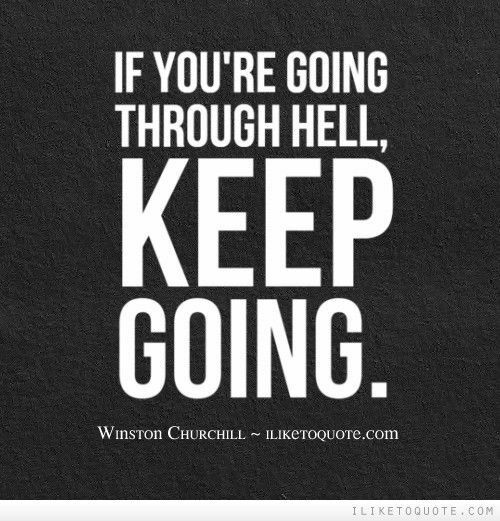 If you are currently going through hell, that’s exactly what you do, just keep going on through it until you reach the other side. “Fear makes the wolf bigger than he is.” – German Proverb. Starting over from scratch is one of the most difficult types of processes I’ve had to endure, especially after being accustomed to being with someone and feeling a certain way for so long. But I must understand, that is NOT the way to live. Humans DO NOT live like that. I DESERVE love, respect, to be honored. And although it hurts for now, I know my growth will feel better in the end than the entire process or any previous negative experiences. 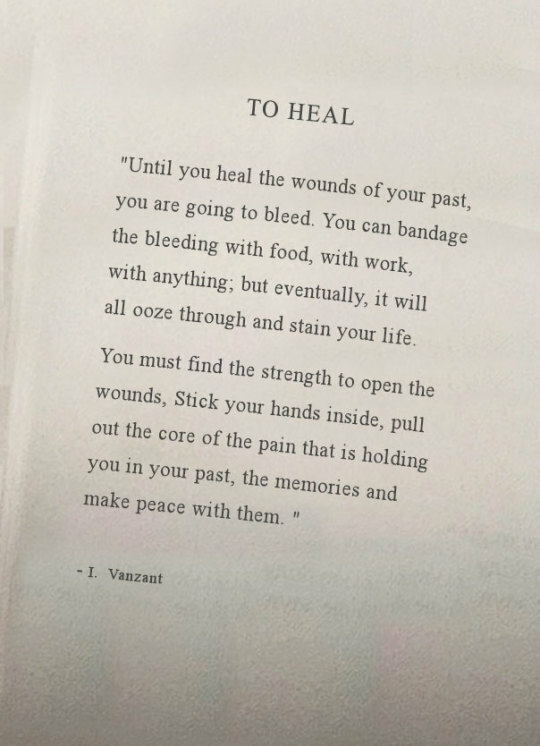 The first step on the journey to healing is acknowledging that we are SO worth the fight, that we are SO worth the effort to even want to get better and leave behind all things that cause us pain. 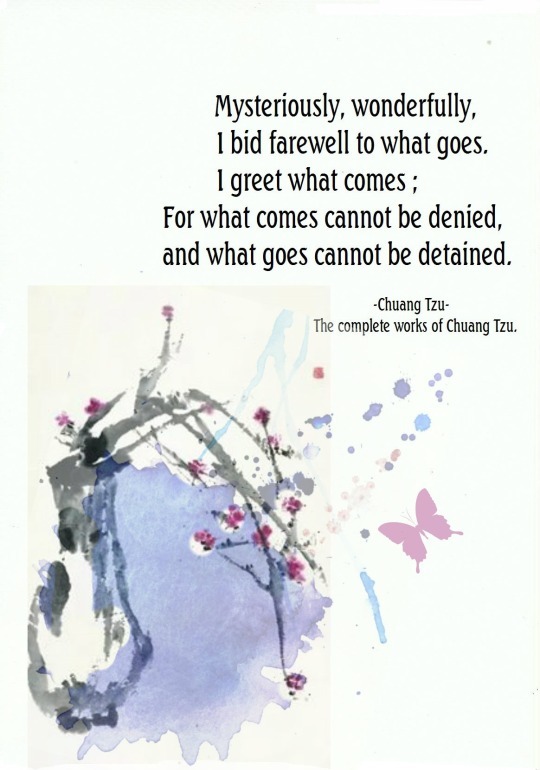 Once that is understood, we open up the doors to become relieved from everything that has been tormenting us. Sometimes the hardest thing to break is a pattern that we are used to living by day in and day out. The key thing to remember is that although it may be HARD, it is NOT impossible. With effort and practice molding ourselves to change old behaviors can happen, and we will be able to reap positive benefits from our changed behavior. I am loving all of these quotes!! Taking risk is scary but if you want to get ahead you have to learn how to step out into the unknown. I feel empowered to challenge myself to do the things I once believed I couldn’t. 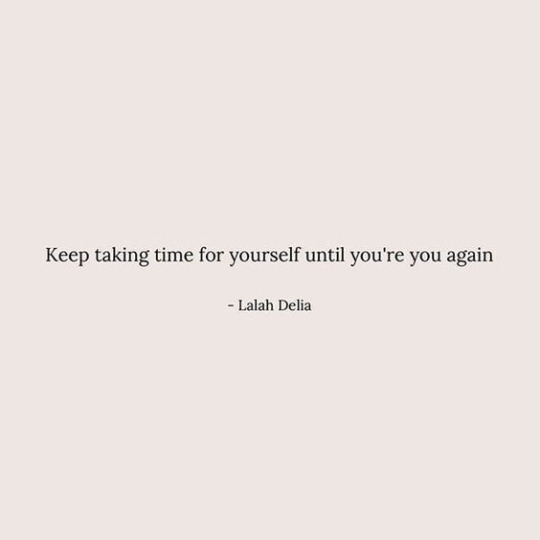 Although it is much, much easier said than done, the first step to getting out of a cycle one has been in for a long period of time is to make the conscious decision to stop making excuses and go after the feeling of wanting to improve a situation. After all, a dog can chase it’s tail for only so long before it realizes that it is attached and then it too moves on to something else. Let’s say no more to the things that cause us anguish, stress, worry, and feelings of unhappiness! Let’s choose to be happy and joyful today! I feel like society has always set the standard of success being someone with the most money, the fanciest material things. By me being able to stand my ground in my morals and beliefs, being able to show others that I am responsible, capable of being educated and growing, being reliable, respectful, having manners, etc., that is what true success entails. Money can only dig so deep! Believing that we can or can’t accomplish something begins with something as simple as a thought. If we wholeheartedly believe we are going to be able to be triumphant over any situation, we will be able to do just that. This month remind yourself that life is not a series of random events, but a pathway of awakening. This pathway ensures that you’ll never grow old-you’ll just keep growing. 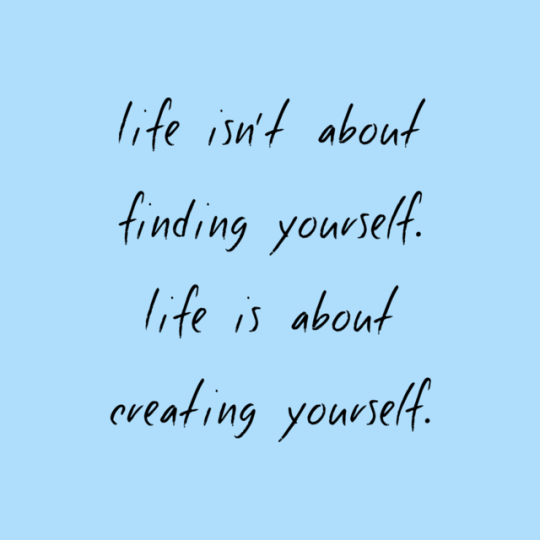 Only you have the ability to customize your OWN life cycle. 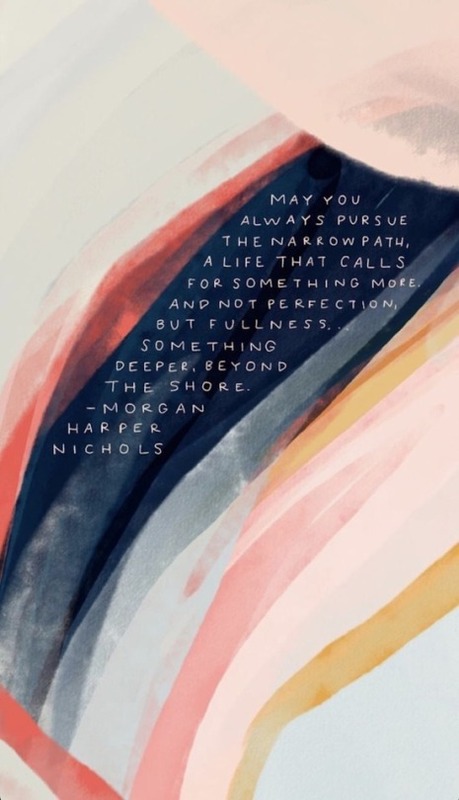 Be thankful for this wisdom and know that it is time to get going! Keep working hard and striving to make the best of the circumstances you have and sooner or later even those you have clashed with in the past will notice your efforts! Be aware of those we spend our time with, for the people we surround ourselves with will either serve as a benefit or a source to bring us down in the end. 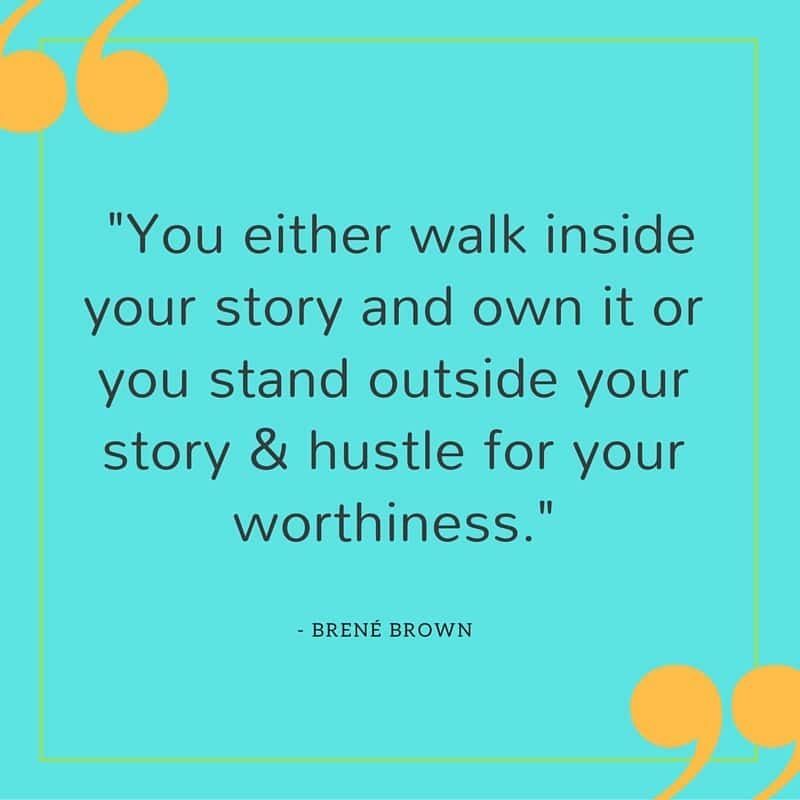 For all the times that we were told we wouldn’t be able to become anything productive or the when we were hurt beyond compare, rise up and use your transformation as a story of success. I will choose to rely on myself in order to change for the better. I do not need approval from outside sources in order to feel empowered to be the best me I can possibly be. 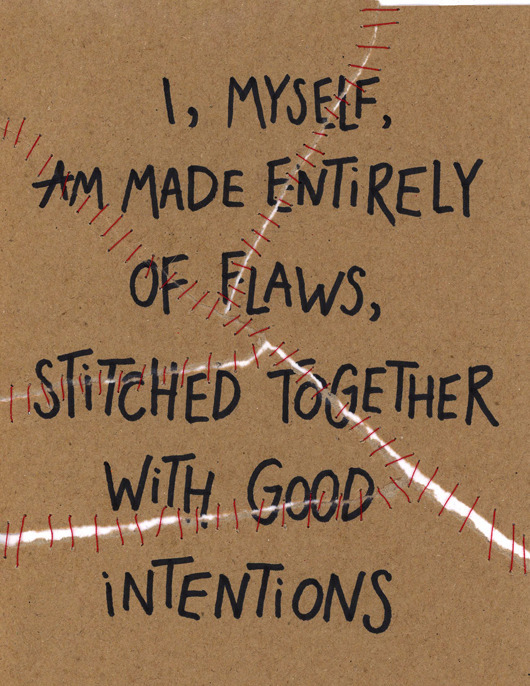 After all, self improvement begins with the self. 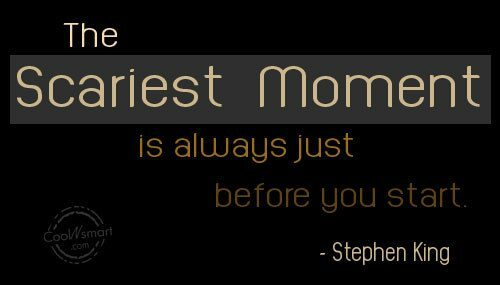 As I move through my everyday life, I will remember that fear may be an underlying emotion for many other feelings that may appear in everyday instances. I may feel like I am angry, sad, even feel hate toward something. 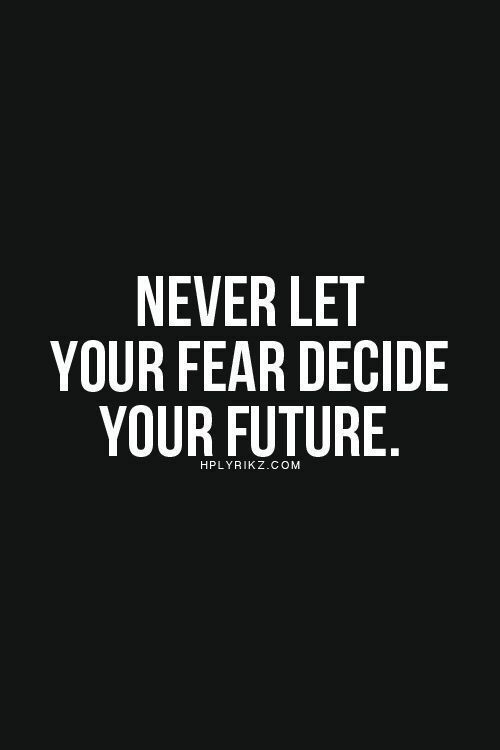 But I will use this lesson to dig deep and understand that sometimes fear is the real cause for my emotions and then I can move forward from it. When I think that all the doors are closing, I will look around because I know that there are always other options. I learned that in life I needed to go through certain obstacles in order to be where I am today. I wouldn’t have had anything to accomplish or survive if my life had been a piece of cake up to this point, I would have had everything handed to me and not have had to fight to be where I am today. 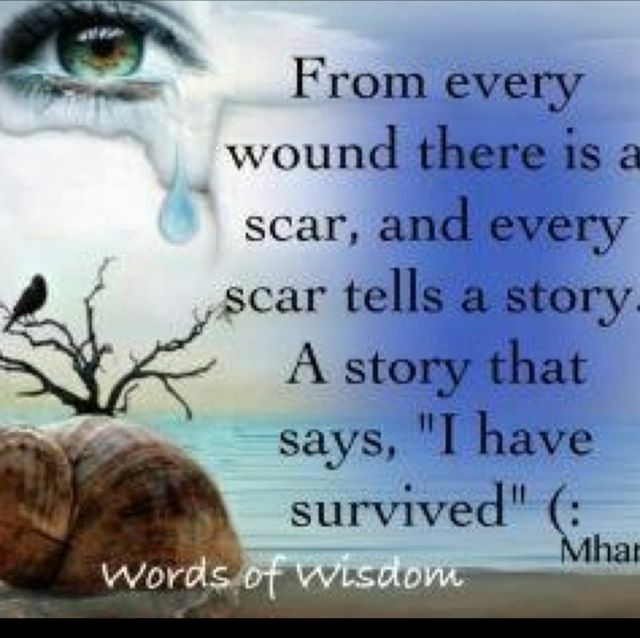 Being a survivor of my circumstances does not only stop there, it means I am a survivor of life. If we spend our entire lives focusing on the negative side of everything, when will we ever have time to dwell in all that is good? There is good in everything, even if the result is not immediately attainable. In the end, even painful experiences can result in a lesson learned or some sort of growth. 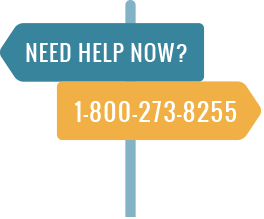 I don’t know how many times I was told by psychiatrists, clinicians, etc., that I was going to be stuck in the same cycle of self-harming behavior for my entire life. I can even remember a woman who called me “lethal” after she was done evaluating me while I was at an inpatient hospital once. Being able to beat the odds everyday of my life and prove them as well as anyone else who has ever doubted me wrong is one of my greatest satisfactions in life. Just because I couldn’t at one point, doesn’t mean I’m never going to be able to do it. The fact that we’ve been able to make it to this point in our lives means so much! Not everything has been a piece of cake before this point, but we’re still here! Congratulations to all of us! Love your last quote Luz. Sometimes we just have to wake up, stand on our own two feet and declare into the universe that today will be a better day then yesterday. Let’s believe that we have the power to control our daily outcomes, and anything we confess can come true. We all fail, we all struggle, we all have problems, some of which we wish no one knew about. 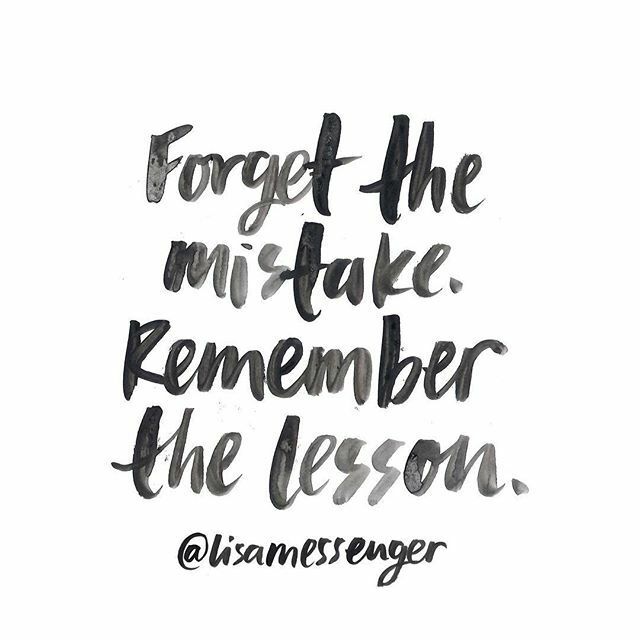 At the end of the day, though, what matters is that we take those hard-earned lessons from the mistakes we’ve made and learn from them. When people say that there is great power in the mind, that is definitely the case. When you set your eyes on something, you must first believe that you will accomplish it and see it through. Then, and only then, will you be able to accomplish greatness. I’ve been told more times than I would probably like to admit that I should “trust in the process”. But in all honesty, there is a lot of truth to that phrase. Whenever I see myself struggling the most, especially at night, I just force myself to shut off my brain and go to sleep and in the morning I automatically feel better knowing that I survived the night. Everyone’s struggles are very real, I know that because mine sure are. 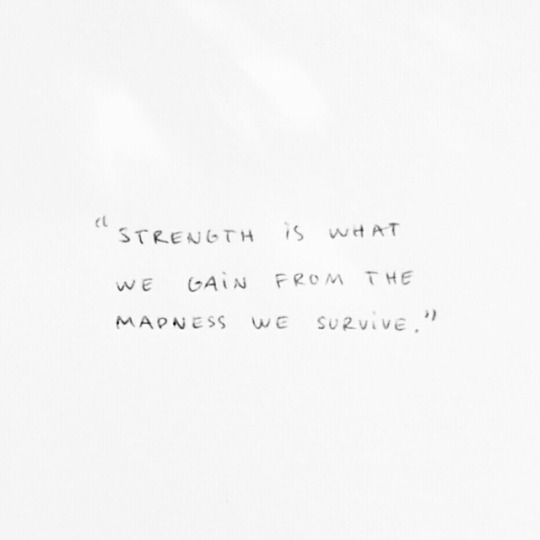 Nevertheless, we’ve made it this far, let’s keep surviving through the madness! ? 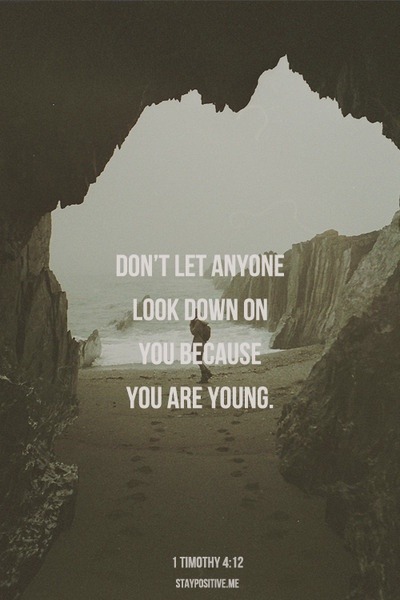 This quote speaks a lot to me, because of the fact that in our everyday society, young adults and even those younger tend to try to fit into a certain mold that is established by those who are outside of ourselves. Nevertheless, if we are focusing all our efforts on trying to fit into this mold perfectly, are we really leaving any room for our own growth, exploration, self-love, etc.? My TRUE job as a young adult on this earth is simply to make the best out of everyday, and to learn to love myself more and more as my journey continues to unfold. 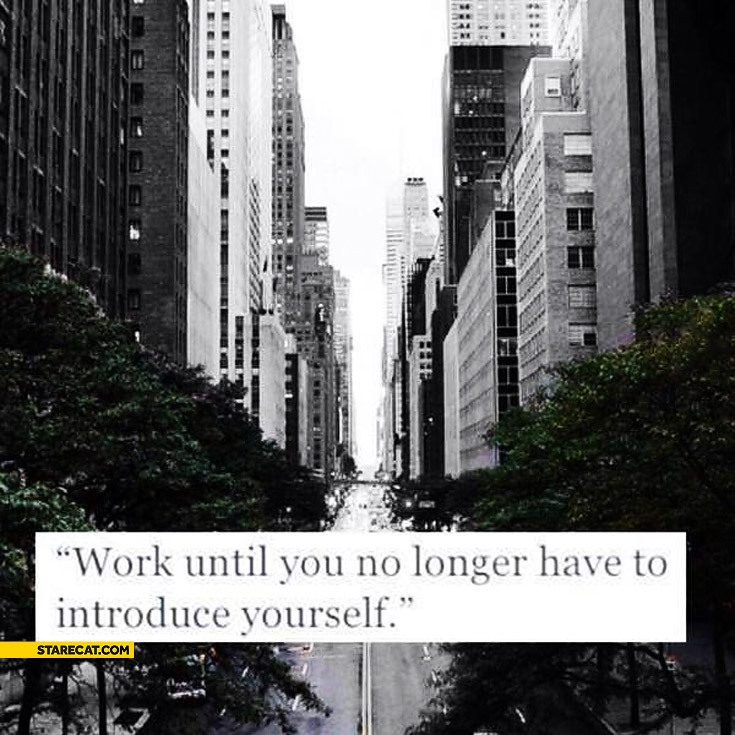 With the first week of the year almost over, have any of you thought about what things you would like to work toward this year? 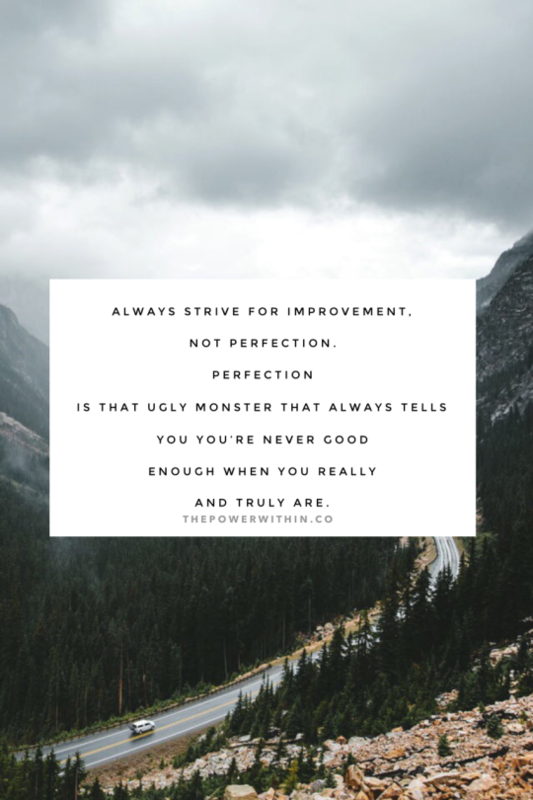 Just keep this in mind when setting your goals: there is always room for improvement in anything we may be doing! Being able to be grateful for everything and anything that I currently have is the only way that I know I will be blessed with greater things in the future. Gratefulness comes from within, it is the act of truly showing appreciation for the things that may sometimes even seem silly to think twice about-things like toilet paper, non-toxic water, electricity. 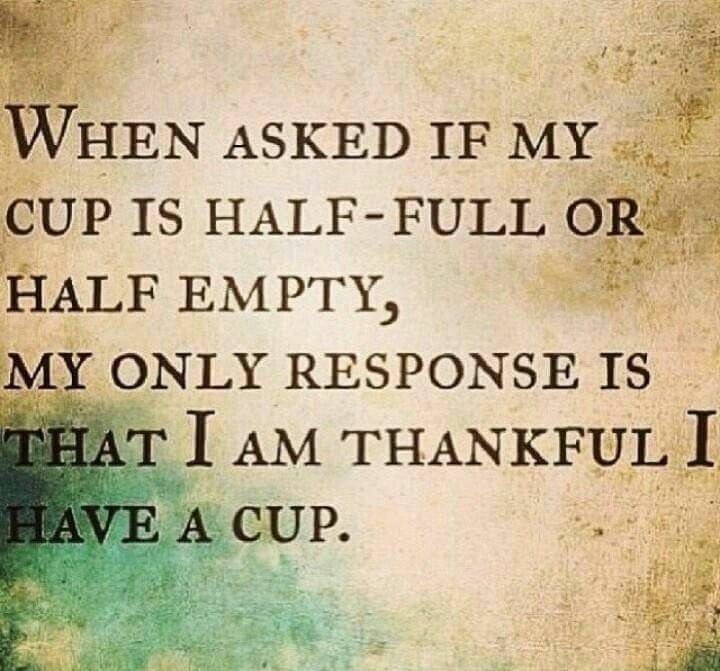 Today and everyday, I will choose to be grateful for everything I have. At times there may be choices that we are confronted with that may be difficult to make, but in the end they may be the most beneficial ones for us. Always trust your instincts, and know that you know yourself more than anyone else. People will come and go, trends will be popular and will soon fade. Nevertheless, when you have worked for something for a long time and finally accomplish it, the feeling of success will last forever. We only get one life, and it definitely goes by very quickly. Take those chances you’ve been wanting to take, dare to take the next step on your journey, and wait to see all of the great things that will come your way. At times, it may seem like you are fighting against the current, but I assure you that you are meant to be here no matter how hard your present battle may be. Keep pushing through your circumstances, because eventually, you will make it through to the other side! Sometimes we have to go through the bad before we get to the good. 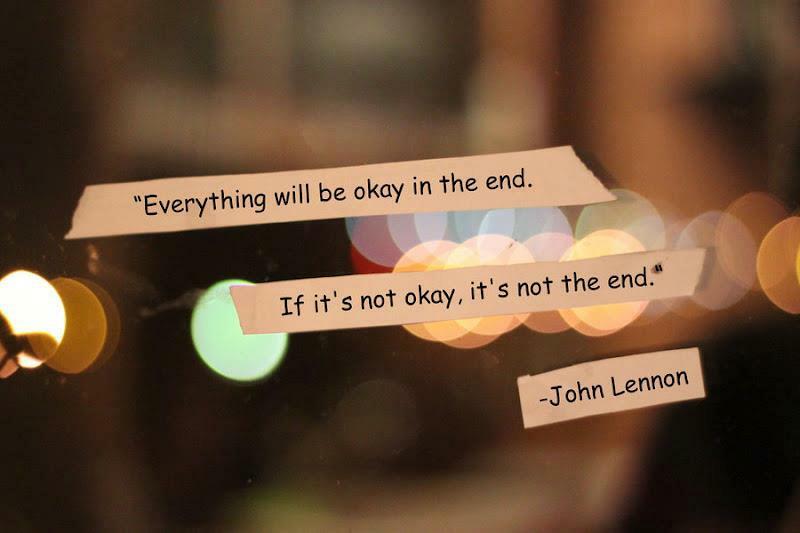 The point is though, that eventually we do end up getting to the good. Ride those negative experiences through to the end because tomorrow may be better! Sometimes, things are all about how you look about them. We have the power of either choosing to be positive when things get rough, or being negative and staying stuck. Which will you choose to do? 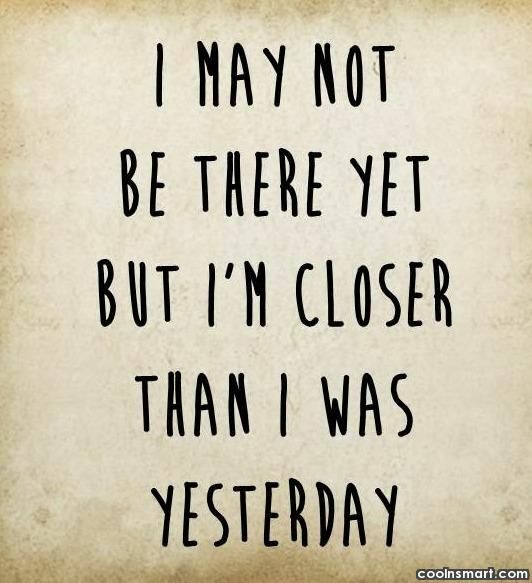 Although some days may be harder than others, recovery is definitely still within reach. Ask for help, get support, and continue to move forward in your life! We can become absolutely anything we desire to be in this life. Reach for your goals, focus on the end result, and achieve greatness! We may often wait around looking for a sign to appear before we decide to make a significant choice in our lives. Nevertheless, it is always the correct time to make a choice that will better a situation! As blunt as it may seem, sometimes we just need to hear the harsh reality. No matter how crappy things may seem sometimes, we can be just one step or significant decision away from being on an entirely different path. 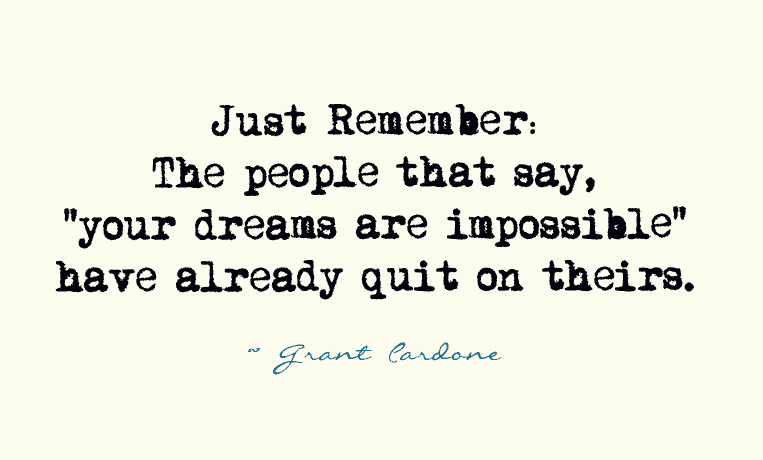 Don’t quit now! There will be many instances in where it will be really hard to notice anything good because of the amount of negativity that surrounds us. In those instances, choose to be the light that shines bright wherever you go and show that there is hope no matter what obstacles may be present. I am nowhere near perfect, I fall, I make mistakes, and then I get back up and try not to repeat them. I am grateful for the amazing life I have, and those who I am blessed to know in it. Everyone has an idea how strong they are but you never know just how strong you are until your put into a situation where all you can do is be strong!That is when we find out how much we can take and that we can overcome. 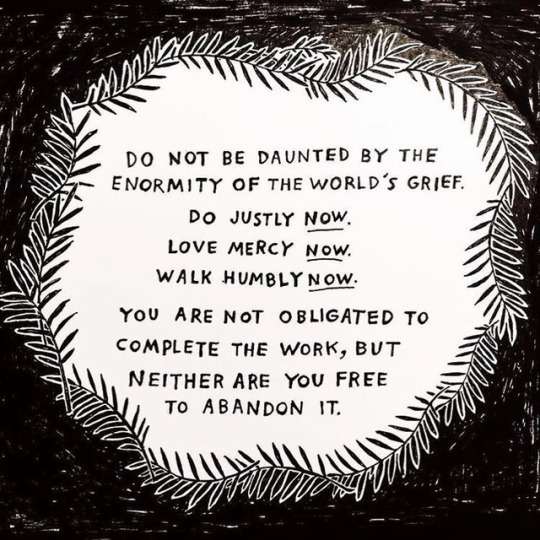 This quote definitely speaks to me, because sometimes I struggle with staying in the moment and being able to focus on what is going on in my present environment. 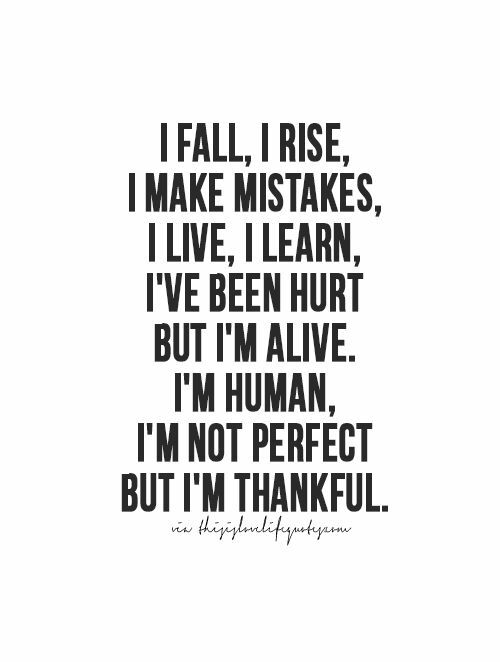 Some things such as grounding and myself, feeling my feet on the floor and focusing on the details of my surroundings can help me when I go through these experiences, but I am still thankful that I am doing better than I once was. Focus on moving forward and all that is positive, and you will attract positive things only. Do not distract yourself with things that are in the past, because once those are left behind, it’s all about what lies ahead! With crazy trends such as the tide pod eating challenge emerging across social media and for so many reasons more, it so important to be a leader and set our own trends. 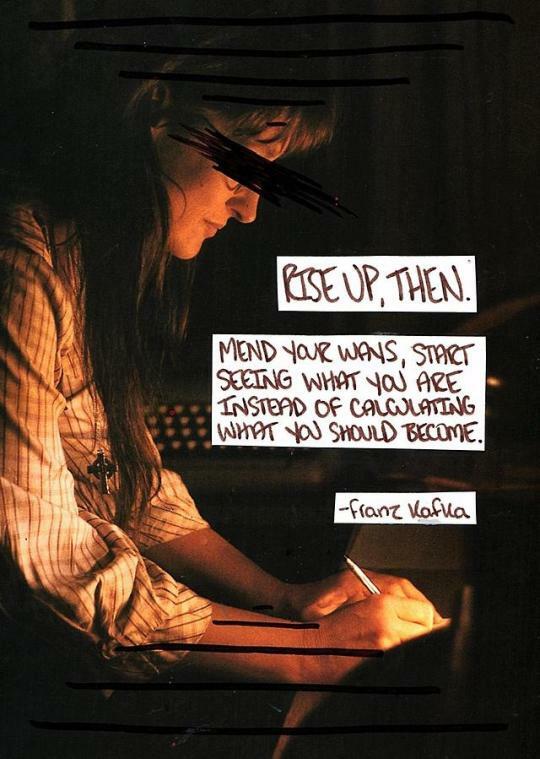 We do not have to conform to things that we do not feel comfortable with, no matter what society makes us believe! Enjoy every second of your life, for tomorrow is never guaranteed. It does no good to bring anyone down. Life is about growth, and helping those around you to grow and prosper as well. We rise by lifting others. 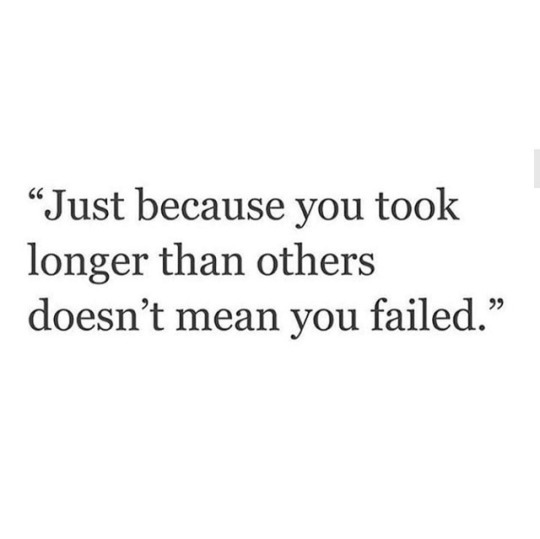 Growth is painful, and the ability to learn from our past mistakes takes time. In the end though, our challenges will make us stronger individuals and more compassionate humans. No matter what it is you want to accomplish in life, you must first put your plan into motion in order to see any progress. Absolutely nothing can stop us from being able to share our innermost talents with the world. Love who you are, love who you are becoming, and enjoy the process of growth we experience each day. It doesn’t matter how many times we fall down or fail. What is truly important is that we are able to shake off the dirt after each stumble and keep moving in the right direction. Once we decide what it is we want to accomplish and we start on the journey to achieve our goal, we must remember not to get stuck along the way. Some days will be harder than others, but keeping the end goal in mind will help us move forward and shake off the hard times. Getting to where we want to be in life takes much hard work, determination and sacrifice. 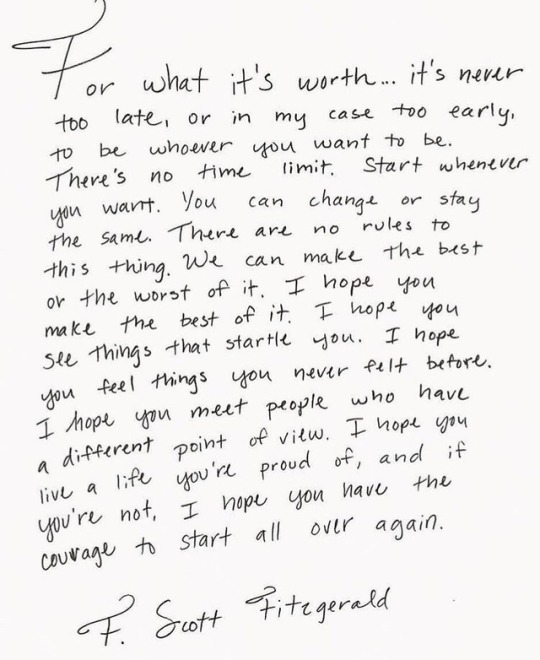 In the end though, it will all be worth it. Let’s live our lives fearlessly, full of such positivity and love that our entire beings reflect our morals and values. Be the same you everywhere, and let the world love you entirely. I am in charge of my life. Only I can make the decisions that will make it better or worse. I am responsible for my well-being. I am in control. When we really desire something in life, we must fight and work hard for it no matter what obstacles may present themselves. It is better to fight for a while and in the end achieve what we wanted than to miss out on a great opportunity that may never come around again. Keeping our focus on our future goals will help us forget about the obstacles and struggles that have deterred us from accomplishing our missions in the past. 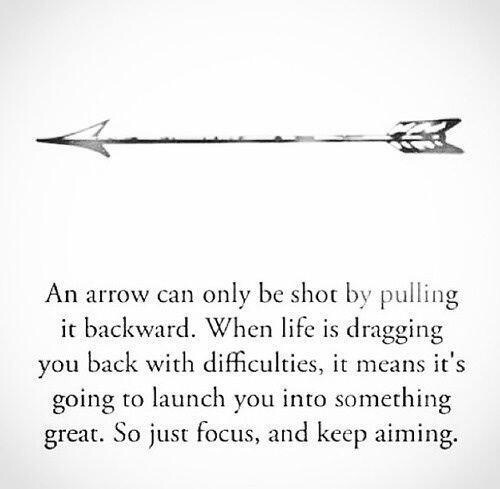 Keep pushing through it all, and remember that you will reach your dreams as long as you keep your eye on the prize. We all go through things in life, some may be harder than others. 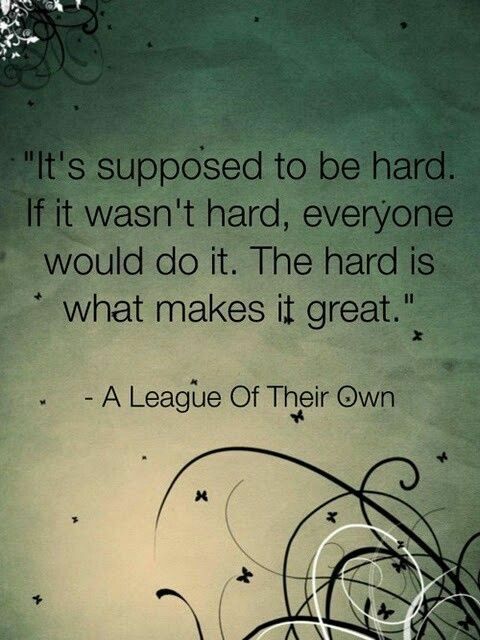 The great thing is that many times those hard things we endure help us get to the places we need to be. 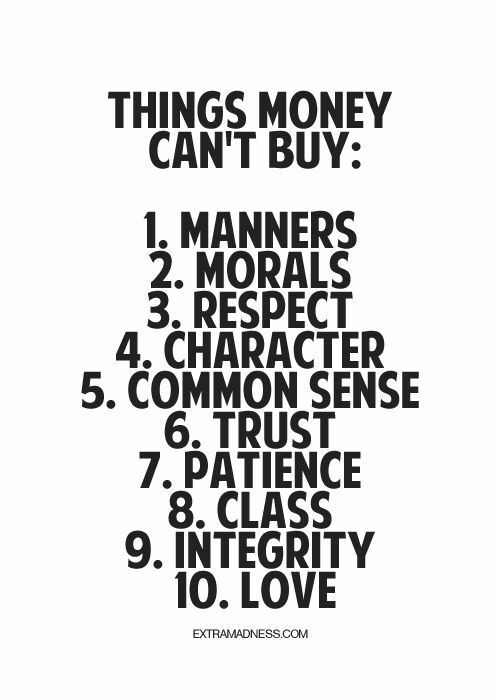 Money cannot buy everything. When you finally have something in life that you are happy with that has not been bought somewhere, that is when you have found true happiness. These are some awesome life lessons to keep in mind. I can personally relate with number 5 a lot, making mistakes. I often want everything to be perfect, but in all reality, I will only know what my best will be if I have done my worst at some point.? We must first think we will be able to achieve something, and then take the necessary actions to fulfill that goal. Every task completed begins with us believing we have already accomplished it! This applies for all aspects of life. Go into every situation you face as if you still have to prove yourself, that way, you will be confident that you will be doing the best you possibly can in every situation. Sometimes the phrase practice makes perfect doesn’t really apply. Sometimes, we need to be able to realize that things will not change until we change them ourselves or we learn that there has got to be a major shift in our mentality. Lead by example. We cannot expect others to be a certain kind of way if we aren’t that way ourselves first. Sometimes in life we will go through things that will be hard to understand. Nevertheless, we will go through these things in order to come out as stronger individuals on the other end. Life should not be a competition against anyone else, but rather a competition against our old selves. Let’s strive to be better than we were yesterday, because in life there is always room for self improvement. We can do whatever we wish to do in this world, but keep in mind that all of our actions have consequences to them whether they are good or bad. It’s okay to disagree with others! Tell me what’s on your mind, and why you don’t agree with me and let’s have a discussion about it. I will not learn anything from you if you simply agree to everything I do. Let our disagreements be a learning opportunity for both the of us! We may believe that the things we do will have no impact in the long run, but in reality it’s the smallest contributions that have the biggest effects on the greatest of things. Throughout life, we are going to have MANY people that we don’t like and that don’t like us either. Nevertheless, what is truly important is that we value ourselves and understand that we do not need other people’s approvals to know we are already incredibly worth it. Sometimes we need to be able to look at the bigger picture. Focusing on our end goals and keeping sight of those instead of the problems we may be facing to get there can help us reach our dreams faster. Finding even an ounce of good in every situation can go a very long way. Gratitude has helped me acknowledge that I have so much, and I have come so far. These are some great rules that I will be sure to remember to apply to my everyday life. I can definitely relate to number 6, because my happiness is what I create myself. If we want to get somewhere or accomplish something, we have to keep working hard at it no matter what it is. Don’t give up because you can reach your goals! Working towards our goals takes hard work and perseverance. 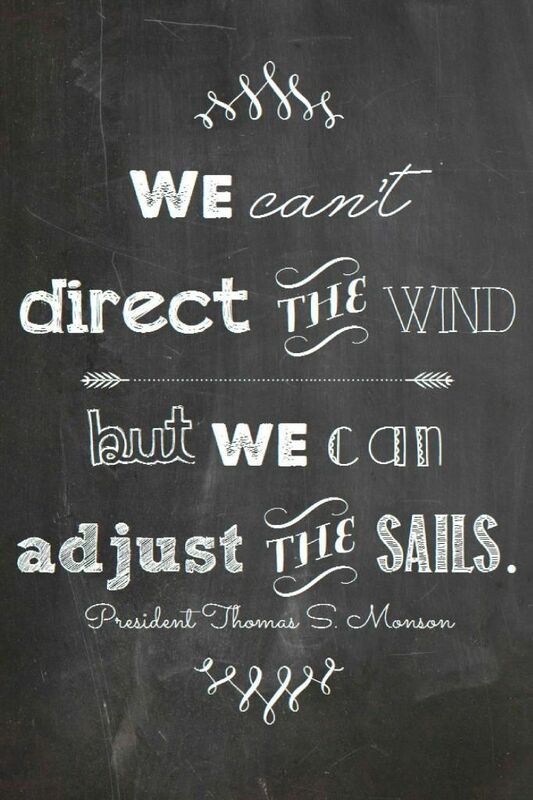 Just like this quote states, we have to be able to keep moving in the right direction in order to see progress. 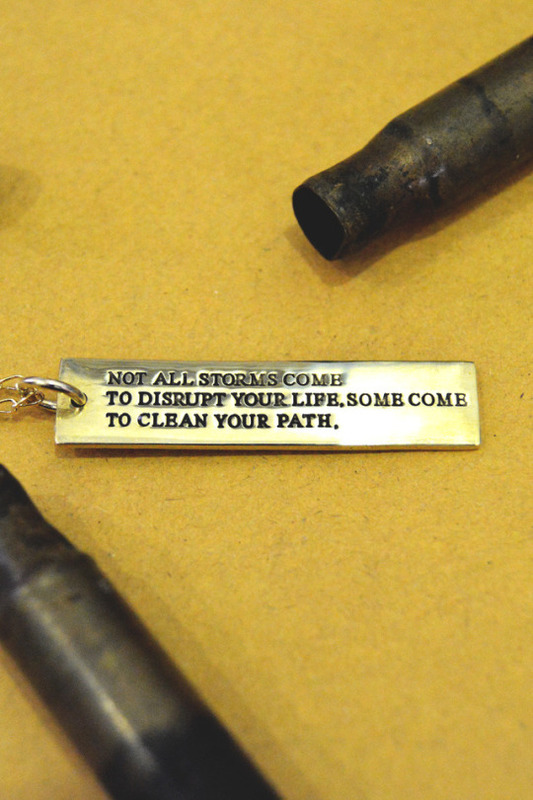 Some days may be tougher than others, but once you see that end result in your hands, it will be all worth it! Throughout our lives, we will go through many obstacles. 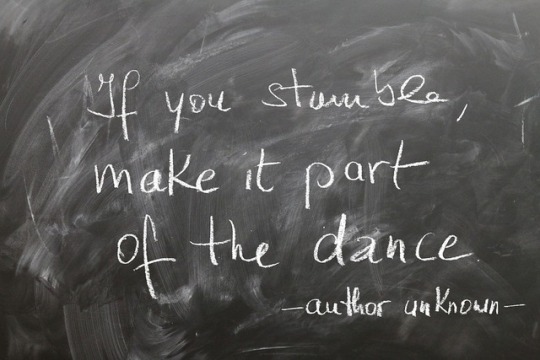 The amount of times that we are able to get knocked down and stand back up will determine how strong we truly are. Pushing through our obstacles and taking care of our responsibilities no matter how we feel can help us feel better in the end. This works for me, and it may be helpful for some of you. Although the past may be painful, focusing all of our energy and time on it won’t be helpful when trying to move towards the future. Never stop trying to improve yourself and be better in all aspects of your life. 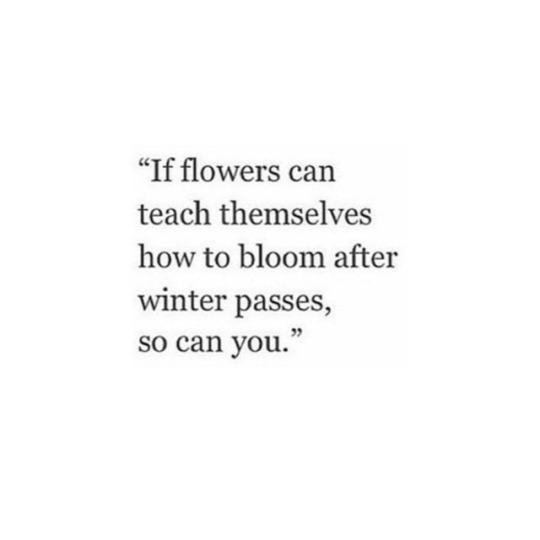 We can always be better at something and grow in different ways. 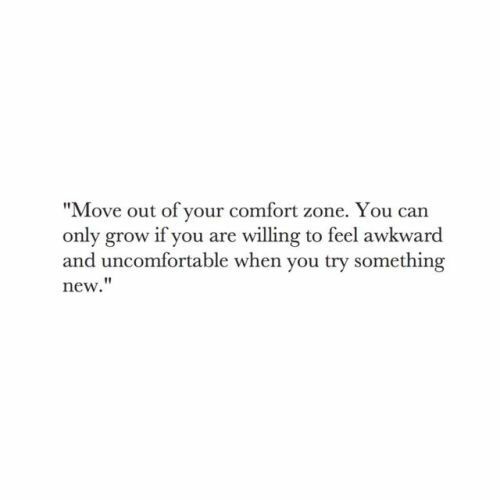 Being able to step out of our comfort zones will allow us to do so much in life. By being in situations that may make us feel uncomfortable, we can learn to appreciate different things, and even develop a liking for them. 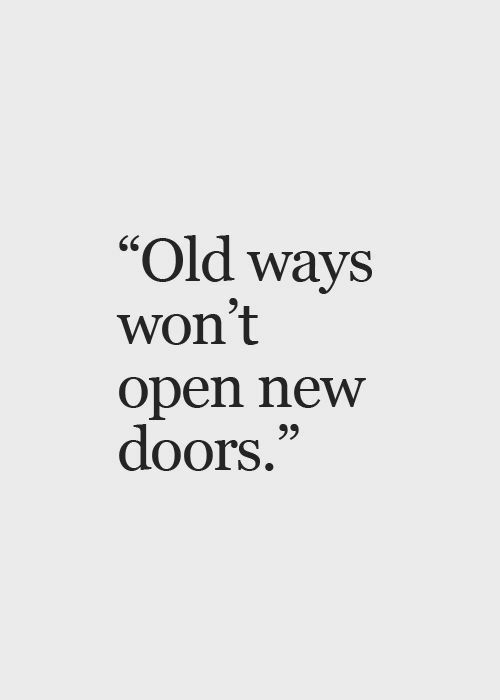 Try new things, and explore what life has to offer. 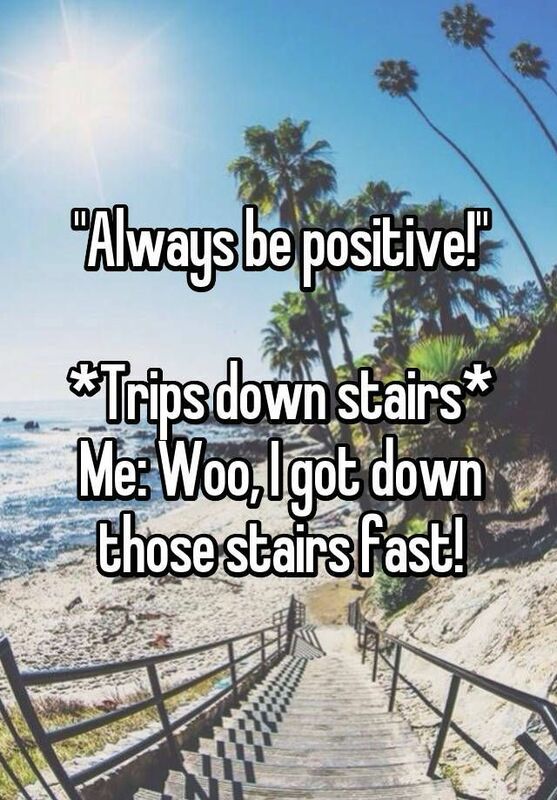 Being positive in life and always looking at the bright side of things is not a bad quality to have. 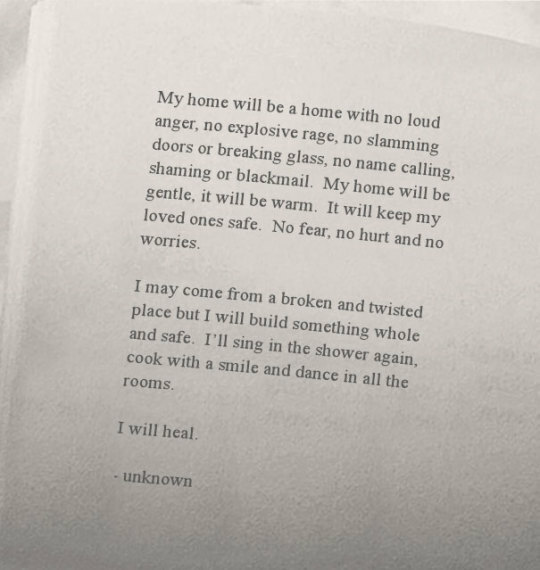 In fact, it is one of the things that has helped me get through some of the hardest days in my life, because I have been able to be hopeful for a better tomorrow. 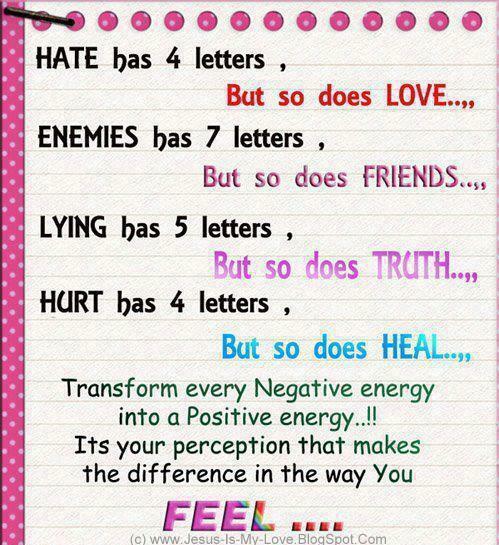 Choose to be positive today! Never let anyone in life treat you like you aren’t worthy or good enough. Even though we aren’t perfect, we are all deserving of a good life, love, happiness, and respect. Trying to fit in and be just like everyone else can be a tiring task that can often lead to frustration. Nevertheless, when we can get to a point where we can acknowledge that we don’t have to be anything more than our true selves, we can focus all of our energy on being our best selves. It took me a long time to realize that being myself was okay, but now that I am comfortable enough to be exactly who I WANT TO BE, it is the best feeling ever. Do not change who you are so that other people will like you. 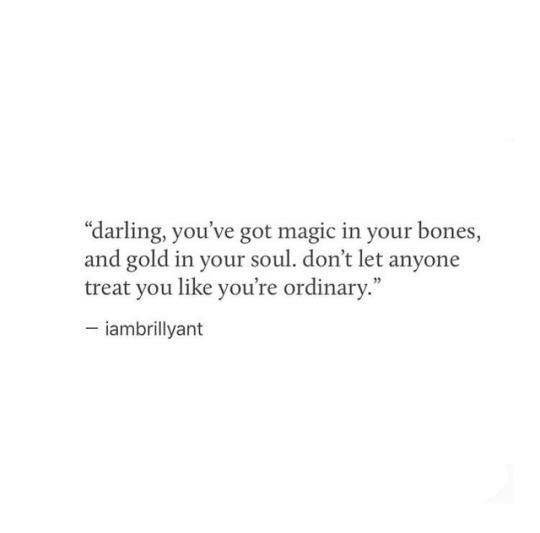 Always be uniquely you. If we give our absolute best at everything we do, there will never be any room for self-doubt. Always do your best, even if no one is watching because it will pay off in the end. Choosing to be positive or change your outlook on life can shift the entire outcome of your day. Choose to be positive today! It may be hard to not dwell on the past, especially if it is painful. Nevertheless, if we spend our entire time worrying or thinking about all the things that have already happened, we will never have time to enjoy the present moment and plan for a better future. Don’t let anything or anyone including yourself limit what you are able to do and achieve throughout your lifetime. If you want to do something, set out and achieve it and prove everyone wrong, including yourself. All you need the will to want to be great, and you’re halfway there. It’s totally okay to not have your life figured out at this moment, I definitely don’t. I am still working through what I want to do and what I don’t as well as still figuring out my likes and dislikes and there is absolutely nothing wrong with that. Life is a beautiful journey of self-discovery, so take it one step at a time. 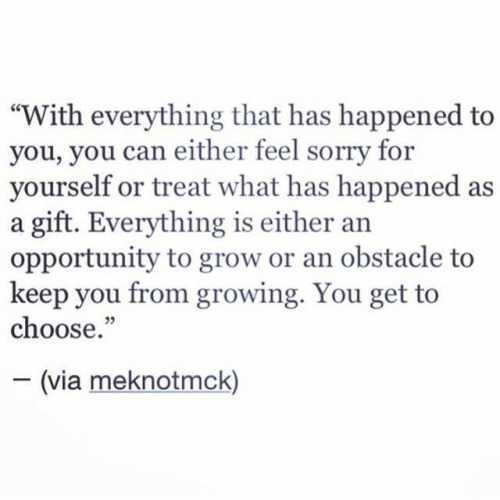 Choose to rise through all occasions! The good, the bad, and even the ugly, because we can make it through! We are more than worthy of love, happiness, respect, all that is good in the world-Never forget that! Make the choice to be a trend setter, be a leader and go off of the path that everyone else is following. Although being a little different may be a scary experience at first, you will come to learn that you will find true happiness in your individuality. Make the choice to learn something from all of the situations life has to offer no matter if they are good or bad. We are in control of our lives. We are the ones who have to fight to make good decisions, fight the good fight to make it through tough times, and we are the ones that will feel amazing when we triumph through every obstacle that we face. Do not let anyone else control the outcome of your life, because you are capable of being a successful individual. It’s okay to accept help when you need it, but we are definitely capable of success no matter what. 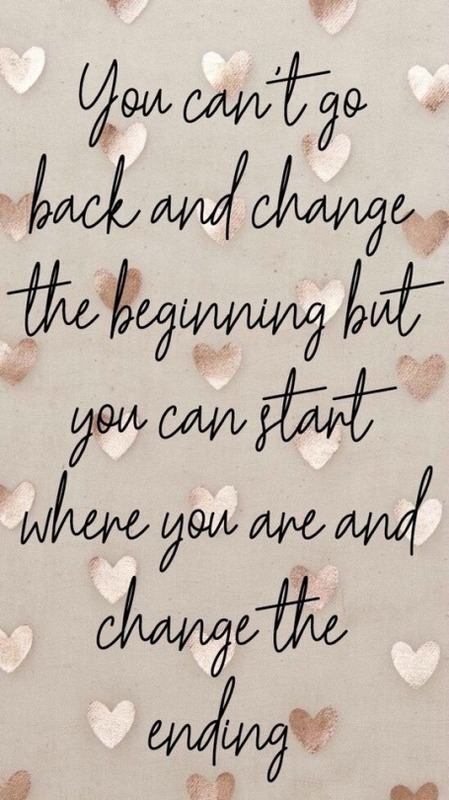 Making the choice to start off each day as a new challenge that we are eager to face instead of as a day that has already overcome us can change it all. The power of positivity and shifting our mind frame can lead us to be successful in all aspects of our lives. It took me a long time to get to this point, but it is so worth it! It was so much work being miserable all the time, trying to just make it through the day, not wanting to even be alive. 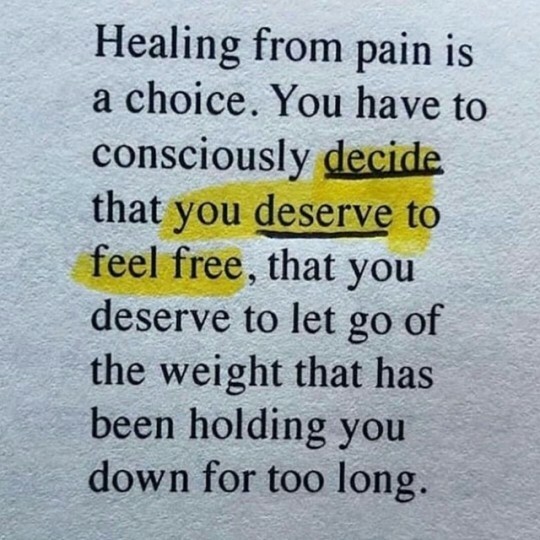 Now, by making the CHOICE to choose life, choose happiness, choose positivity and to let previous painful things go, I can live a healthy, happy life. Using our life experiences in order to help others get through the rough spots in their lives is one of the best feelings ever. 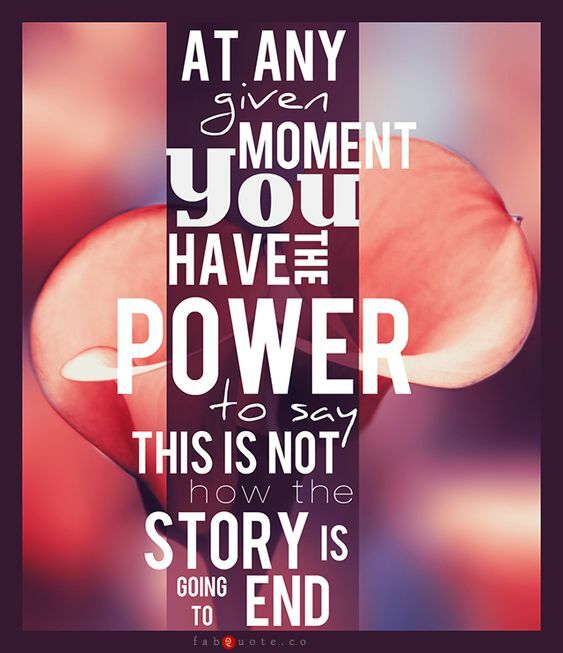 Sharing our story of recovery can really make the difference in another individual’s life! The things that can have the most impact on us and can alter our lives forever can sometimes be the scariest to do. Nevertheless, when we commit to doing them, the result can be the best thing that has ever happened to us. There are days where this may be harder to get through to ourselves than others, but the importance of the message still remains the same. 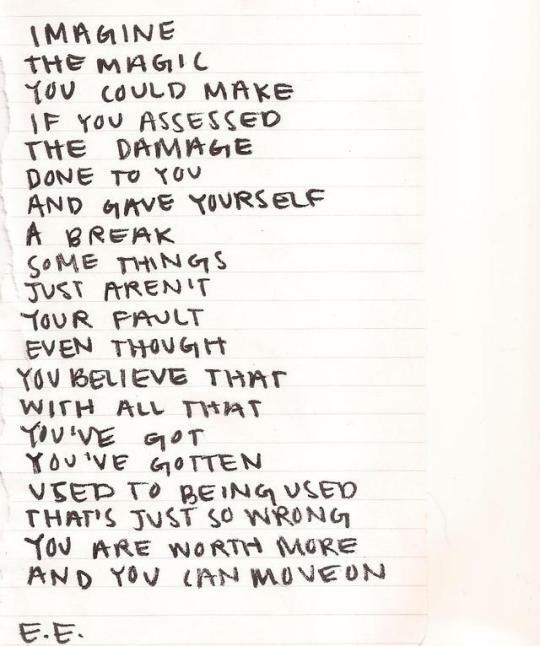 We are worthy. We are worthy of all things great in this world and are deserving of a great life. 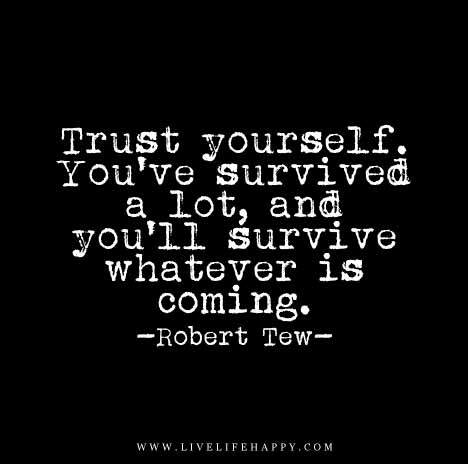 Even if all the days leading up to today have been difficult, you are a survivor because you made it through. Never underestimate the power and strength that you possess as an individual because life itself is a battlefield and that you continuously overcome. Don’t look back at where you’ve come from and dwell on your past mistakes. 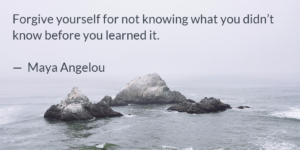 Instead, use your lessons and past experiences in order to help you strive towards the future. We have to be willing to put in a lot of hard work in order to get to the places we want to be in life. In order to see positive changes, we must strive for success. Although I find this quite hilarious, it is also very true. Never feel like you are less than anyone else, because we are all human and we all make mistakes and do humanly things!! No one is perfect!! When you take the time to work hard for everything you want in life, you will have to opportunity to play hard later. Think of your ultimate goal- graduating from high school or college, getting your license, buying a house, getting better grades-whatever it is you want to accomplish. 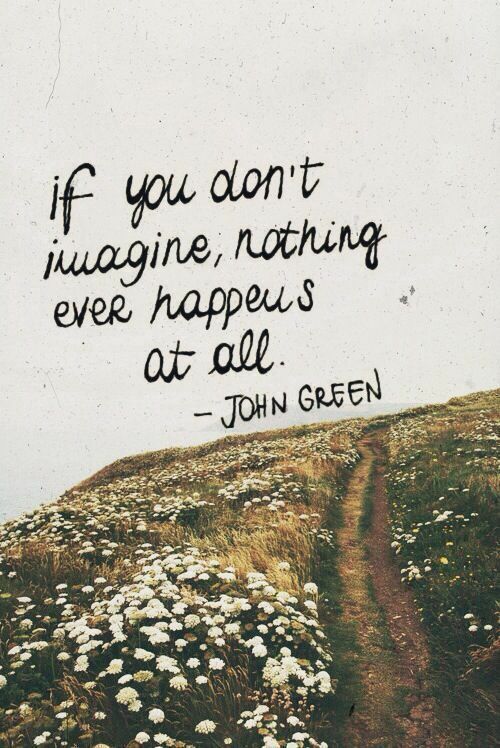 Now- imagine how great you will feel once you have reached that goal. Working towards a big goal can be hard and draining, but once you see that end result, everything you went through in order to get there will be worth it. We may have gone through troubling things in our past, and may even be going through hardships currently. Nevertheless, the best things that we will encounter within our lives are still ahead of us, we just have to push through all of the current chaos in order to get to them. 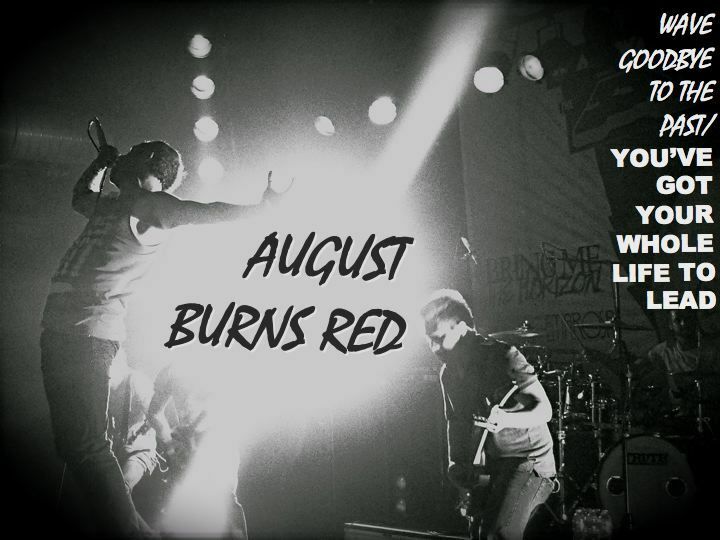 We can do anything we set our minds out to do. We just have to believe in ourselves first, and then the rest will follow. Choosing to see the glass as half full no matter what the circumstances may be will help us live a life full of positive experiences. Choose to look at the good side of things in every situation. When we have shadows haunting us that won’t leave us alone, sometimes the easiest thing to do is run away from all the problems. Nevertheless, just like a shadow does, the problems will follow us wherever we go. The only solution is to face our issues, deal with them, and seek any help we need to in order to help us resolve the problem so we can keep moving forward hassle free. Despite what society has said we are supposed to be like, what labels dictate what our future is supposed to be like, whatever people outside of ourselves has preset for our futures, that doesn’t mean anything! We are the ones in charge of fighting any and every diagnosis, the only ones that can either choose to give up and let others decide how much of a successful person you will or won’t be. We are capable of so much more than society gives us credit for, I am living proof! 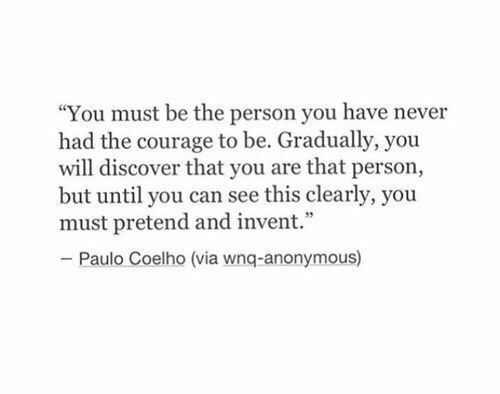 Always be your truest self. 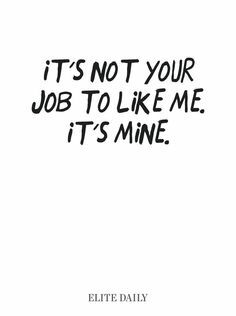 Those who don’t like you for you do not truly matter, and those who truly matter won’t mind your truest self. 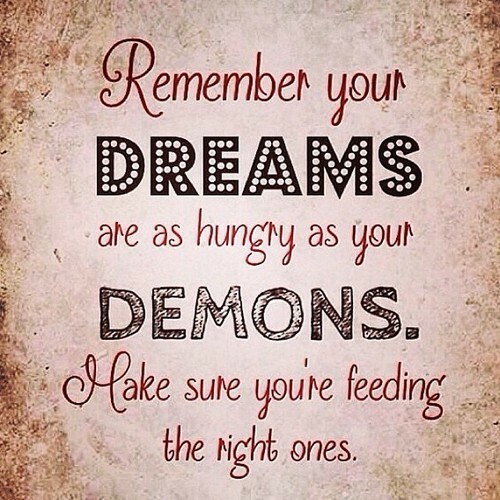 Don’t let anything stand in the way of you achieving your dreams. I’ve definitely let many things and people stop me from moving forward in my life before, but the truth is, those who will still be there when I reach the finish line are the only ones I really need by my side. I find that one of the best things about life is that there is one day after the next. Today I may be struggling, but when I go to bed tonight and wake up tomorrow, it is a brand new day and I decide how it is going to go. Today may be difficult, but that doesn’t mean tomorrow will be, we just have to wait to get there to find out! We cannot change the things that have already occurred in the past. The only thing we can do now is strive to make our future the best it can possibly be and use what we have already been through as a learning experience so we don’t have to go through the same things again. We may not be able to control actions that are outside of ourselves, but we always have the power to control how we react to them and how we think about certain situations. 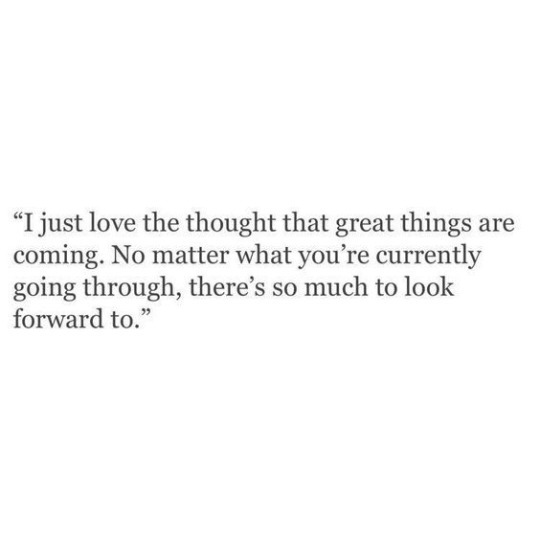 The ability to think about the positive side of things has helped me remain grateful through many hard times and reminds me that there are always better days coming. It may take a lot of inner strength and determination, but making the choice to continue on our journey of life despite how hard things may seem can be the most rewarding feeling ever. 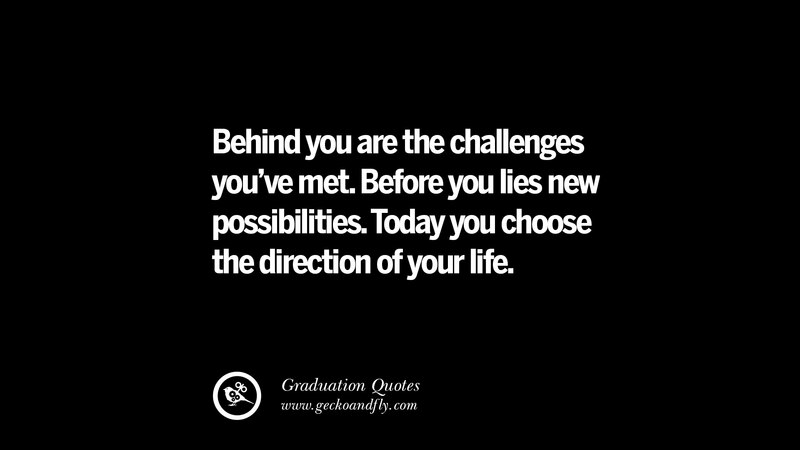 Make the choice to get unstuck and continue striving towards greatness today! 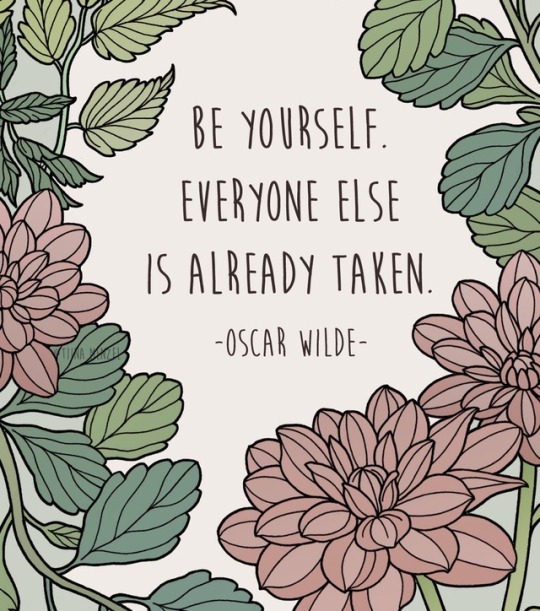 Embrace your individuality and uniqueness! In a world where you can be anything, choose to be yourself! I’ve had to shift my circle of friends a lot throughout my lifetime, but I now know that it was totally worth it. Knowing that I am surrounded by those who support me wholeheartedly is an amazing feeling! In a society where trying to fit in seems to be the most important thing, choose to embrace kindness and love. It is always more important to make sure everyone feels like they matter than it is to be cool. 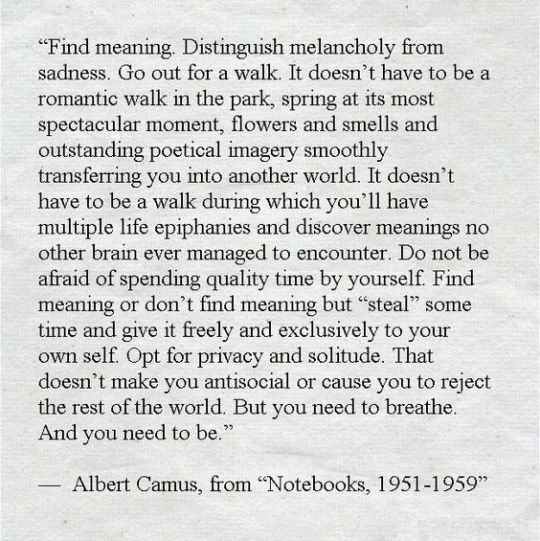 I know I’ve shared this before, but I like to share it again every so often because it is just that important to me. When everyone in life has doubted you and told you you weren’t going to amount to anything, choose to prove them wrong and be the exact opposite. Never settle for what others think you will become, because you are the ruler of your own destiny. Make the choice today to do something a little out of the ordinary. Take a chance and see the beauty it could lead to! I made this post approximately one year ago, and I still find it to be so true to this day. Allowing other people to take away the things that cause me joy and make me feel comfortable within my own skin is not something that I will allow ever again because it has taken a very long time for me to achieve my happiness. I am important too, and I deserve to simply be myself. Self love can be a very difficult topic to talk about. Nevertheless, it is something that is essential to our well being, for we need to be able to love ourselves before we are able to love anyone else. When we wake up each day, we are faced with a decision. We can choose to make the best out of whatever situations we are currently going through and keep moving forward or we can choose to let the day defeat us and remain stuck in the muck. What will you choose to do in your life? We have to learn to distance ourselves from the things that have caused us pain if we ever wish to grow, heal, and become a different person. 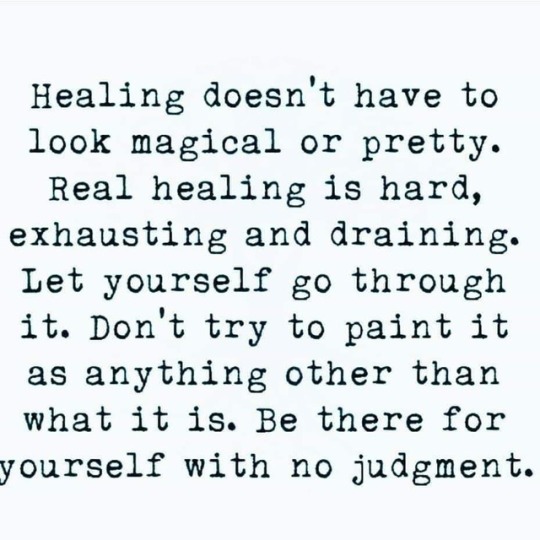 This may be hard to do, especially if the ones that have caused us pain are close to us, but sometimes it is essential for our wellbeing, sanity, and process of individual growth. 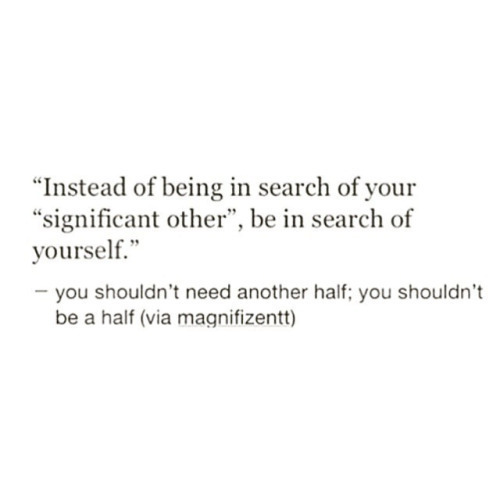 Comparing myself to others was something I used to do a lot, especially when I found myself lying in bed at night alone and I wondered how people could be so “happy” or appear to be so “perfect” in their lives. Nevertheless, I have learned that sometimes others may flaunt luxuries, successes, or even good times on things like social media, but in reality they are completely miserable. I’d rather be completely happy in all aspects of my life than have to fake my happiness anywhere. Sometimes we have to learn to let go of the negative things from our past that have been weighing us down in order to get to all the amazing things that are in store for us in the future. In order to become something great in this life, we must first believe that we are good enough and then we will be able to attract those great things. 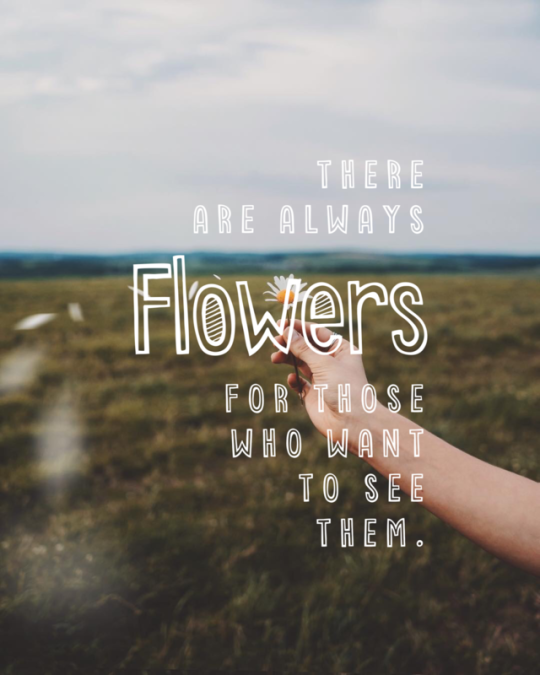 Although I must admit that I am a fan of the warmer weather that we have been having lately, I do like the overall aspect of this quote. If we are constantly depending on how the weather is to establish our moods for the day, we will never be consistent because the weather is an ever-changing thing! As time goes on we should evaluate our circle of friends and examine who we have relationships with. I know I’ve had to ask myself if some of the people I’d had close to me were being beneficial to my growth or if they were bringing me down and stopping me from succeeding. Choose to be around those who will support you and help you be the best that you can be! 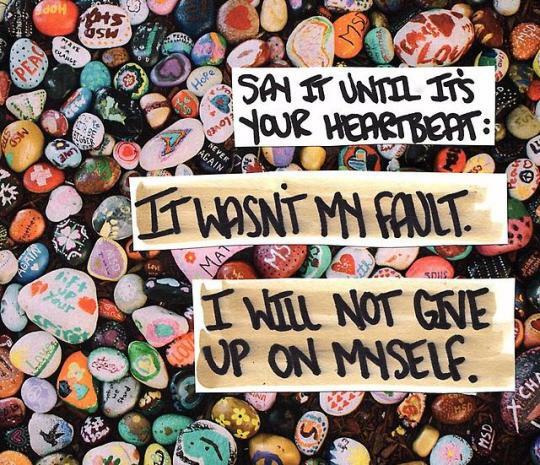 At times my anxiety can get the best of me and I feel like giving up. When that happens, I remember all that I’ve accomplished and how far I have come in my journey of recovery. Growing throughout our lives is something that can be painful because it’s unfamiliar territory. Nevertheless, with support, hard work, and striving every day to keep moving forward growth is attainable. We can’t control everything in our lives, even if we really want to. We just have to learn to control the things we can and adjust to the difficulties of the changes that occur that are out of our control. 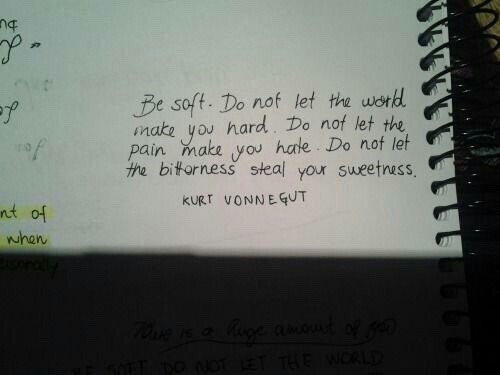 Choose to be kind no matter how icky you may feel inside. Engaging in random acts of kindness has actually helped me change a negative mood into a positive one. We will never be able to accomplish anything if we remain stuck in wanting to do things and don’t take the next step to actually try to do things. Sometimes we may get upset because things don’t work out the way we would’ve wanted them to. Nevertheless, maybe those things didn’t work out because they weren’t meant to be a part of our journey. In order to be successful in life, we must work hard for it and learn to make sacrifices. It also takes a lot of dedication and determination. 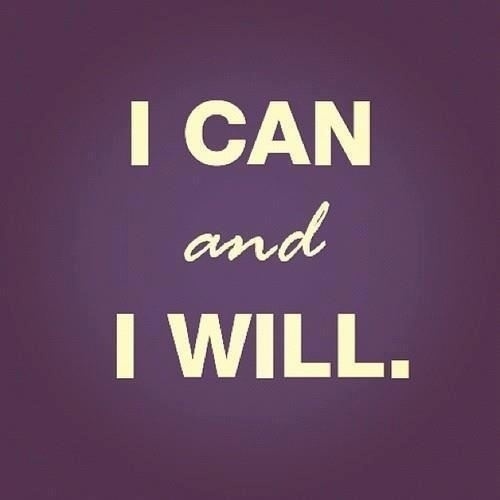 We can accomplish anything in this life as long as we have the willpower and motivation to get it done! I love thinking about this aspect- animals are born full of love, and as humans we tend to be full of such hate and cast judgement upon others. 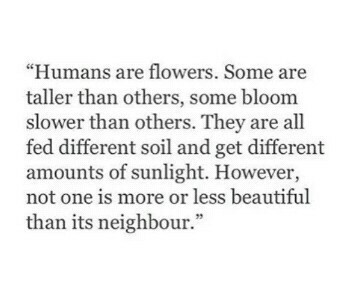 Let’s be more like animals in this sense, accepting of all. Only we can decide to move past the circumstances that we have been handed and change them. Where we start in the world is not a choice, but where we end is something that is controlled entirely by us. Materialistic things are okay to a certain extent, but the feeling of being of service to another individual or simply being a kind person is something that money cannot buy. It’s okay to plan things out before we do them, but when we are focused too much on the things that may go wrong and let the thoughts of failure prevent us from actually taking action, that’s when we won’t be able to accomplish anything. Always make the decision to take the chances that may only come around once in a lifetime because by doing so we can open up a world of possibilities. 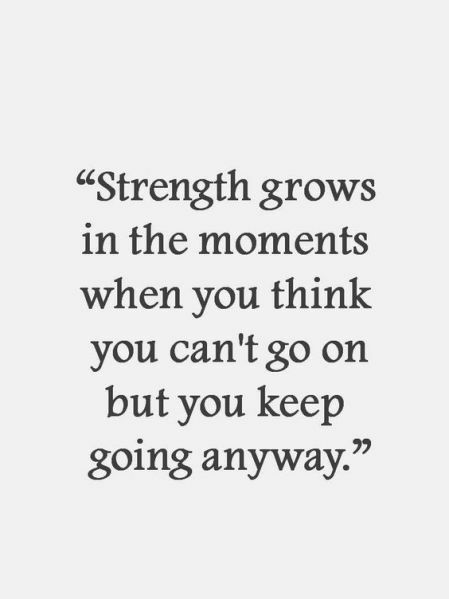 Even when the days get hard, choose to keep getting up and continue moving forward no matter what. Replacing negative thoughts with positive energy can be the beginning of transformational journey. Being able to accept when we are wrong can help us learn and become better people in life. Even in those times when we may be struggling, we must try to focus on the fact that the best is yet to come. Our journey may be full of hard times, but our struggles aren’t pointless. Don’t be afraid to take that chance. 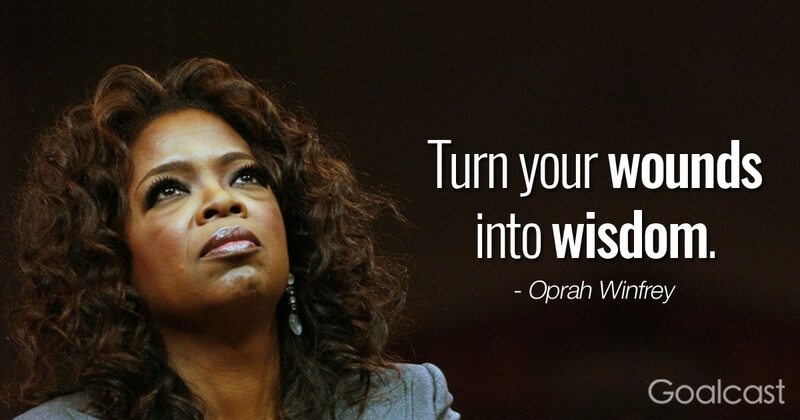 Make that decision that is going to better your life. 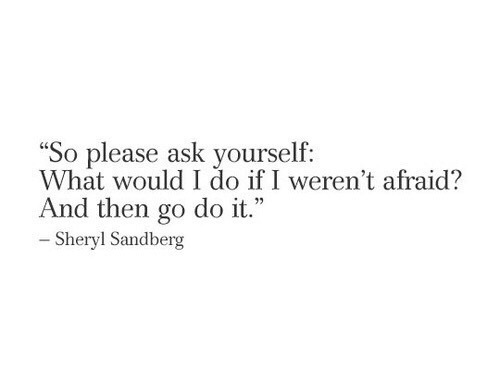 Take risks. Be outgoing. Dare to live your .life the way you’ve always imagined. We must work hard for all the good things in our lives. Choose to be the best you can be and don’t stop short. You can accomplish whatever you set your mind to. Always choose to do the right thing and be kind no matter what for you never know what struggles others are going through in their personal lives. In life we will go through periods of time when it will seem like nothing is going correctly. When that happens, choose to remain positive and spread kindness onto others who may be struggling more than us. Lately I’ve definitely been feeling off, but I know that eventually I’ll get back into the swing of things and get back on track. One day at a time, with one foot in front of the next, anything is possible. I have always loved this quote!! If we are striving to be a better person, do better, etc, why not do our absolute best at EVERYTHING? 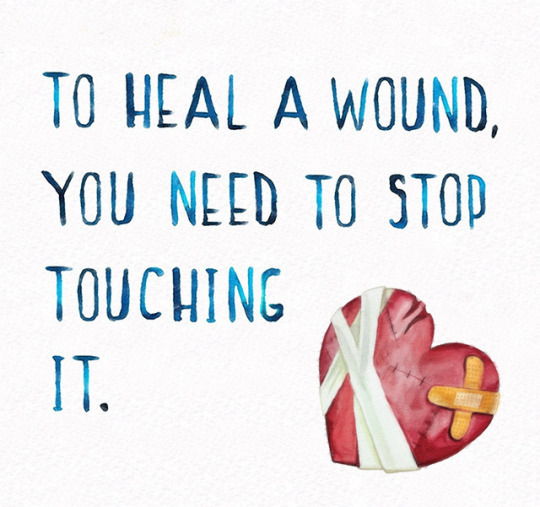 Healing is the one of most essential steps in our recovery. 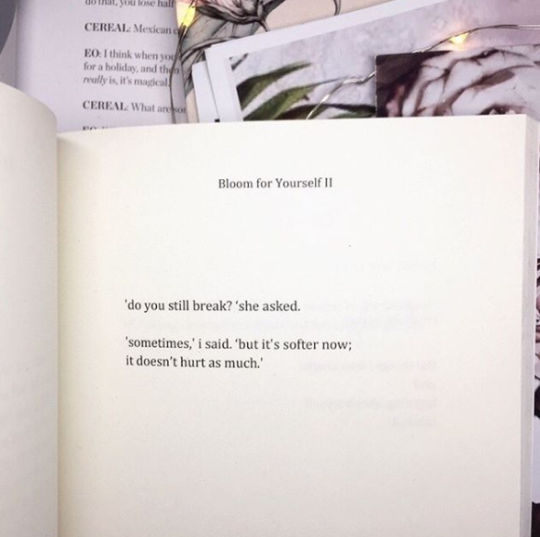 Nevertheless, even healing is a process. Take a look at the following healings steps. 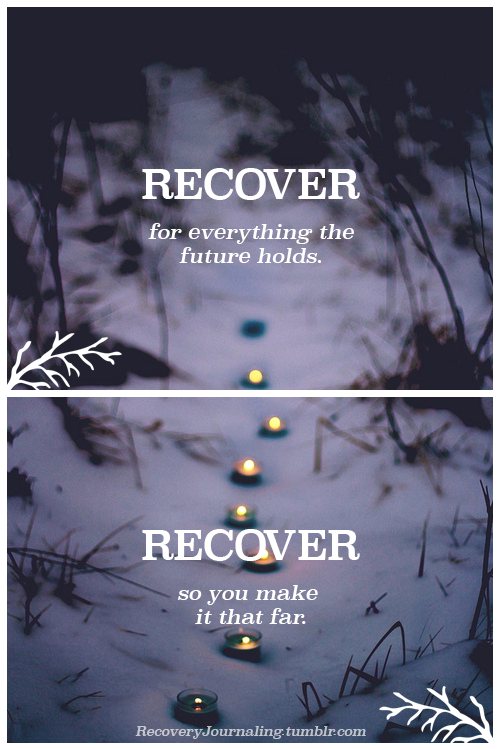 Recovery means something different to everyone, but I definitely identify with this definition. 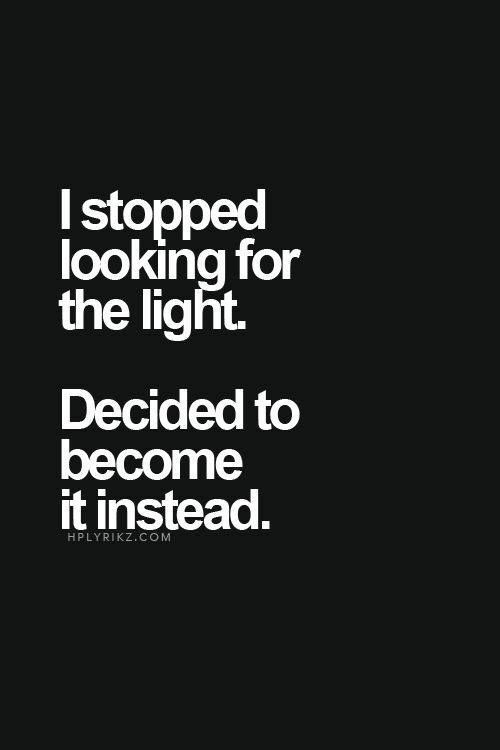 Once I started on my journey of recovery, I chose to never again be the same person I was before, no matter how much hard work it took and continues to take each day. No matter what those who surround us may be going through, let’s make the choice to not let their situations effect us. 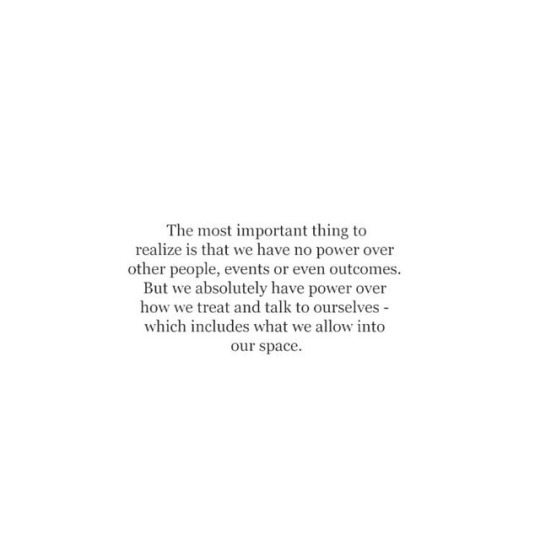 We have the power to control our days and outcomes, and to not let anyone else dictate our lives. If one bad choice begins with a single thought, imagine what changing a single one of those negative thoughts into a positive thought can do! When we want to achieve something, we must work hard for it day in and day out. Sometimes we will feel like giving up, and other times we may lose focus. When that happens, just focus on the end goal and keep moving forward. Nowadays in society, it’s hard to be able to state that you love what you do for a living. To go home everyday from work knowing that I’m helping at least one person in their lives makes the world of difference to me. We are all here for a purpose. Sometimes for some reason or another, we may lose track of what that purpose is, or maybe we haven’t been able to figure out what it is yet, but giving up on life isn’t the solution! I love this quote because often times we may try to please everyone in our life. Nevertheless, the most important thing should be to be content with ourselves and not worry about what others think. 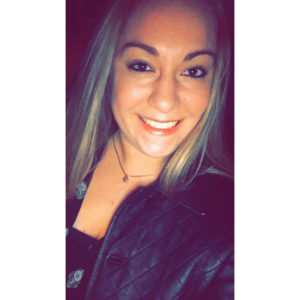 The journey of transitioning into an adult can be difficult, but in the end it will definitely be worth it because we will look back and realize we’ve made it. No matter what life may be like today, don’t give up because if we keep fighting tomorrow may be a better day. 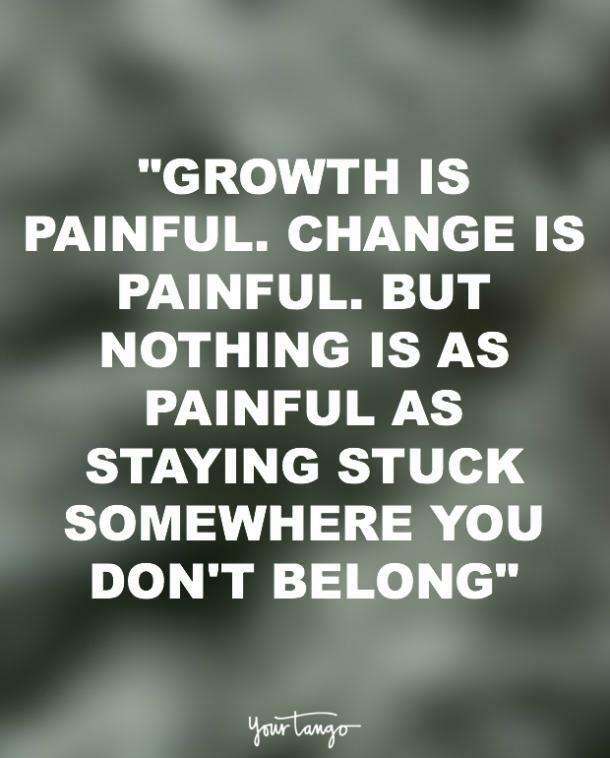 If we don’t feel the growing pains, is it really going to change your life for the better??? 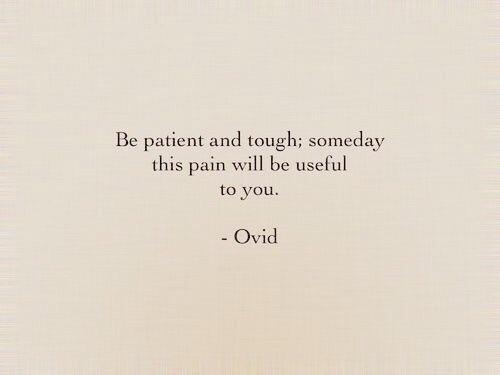 This quote really hit home for me today. Sometimes we may act a certain way because we are fearful of letting our guard down or being hurt again. Nevertheless, with practice, patience, and a lot of hard work, we may be able to change our way of viewing things. Not everyday is going to be the best, but as long as we don’t give up, we are doing better than all of those who aren’t trying at all. 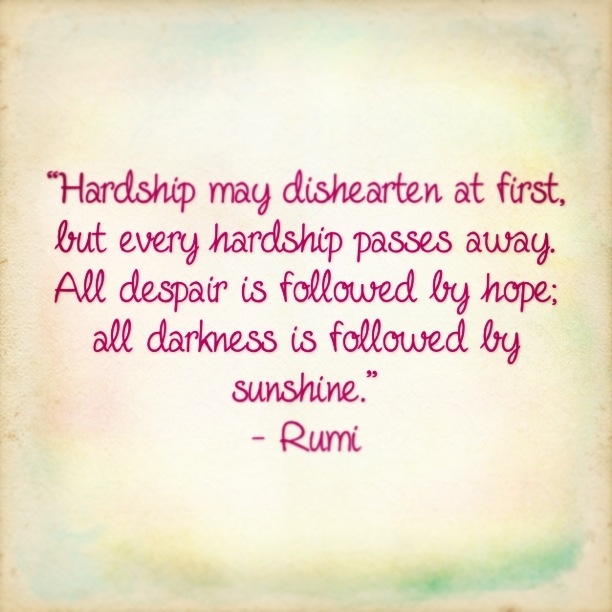 Even when we go through tough days, choose to rise above all circumstances and push through to the other side! Overthinking can cause a lot of anxiety, I know from experience. 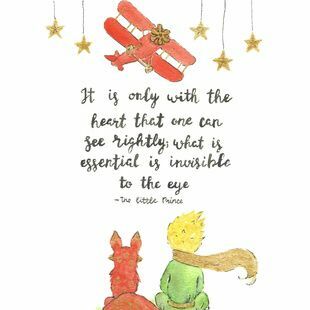 Instead, try going with what feels right within your heart. 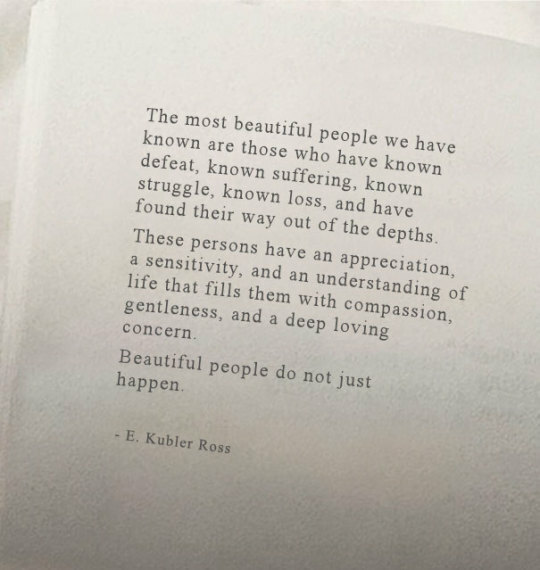 It’s absolutely okay to lose those who don’t accept that you are growing into something beautiful. Those who stay through your entire process of growth are the ones who are truly meant to be in your life. Changing and growing into a better person doesn’t just happen overnight, it’s an ongoing process. Nevertheless, we must commit to actually start the journey if we ever want to see any results. Remember to take your mental health into consideration. 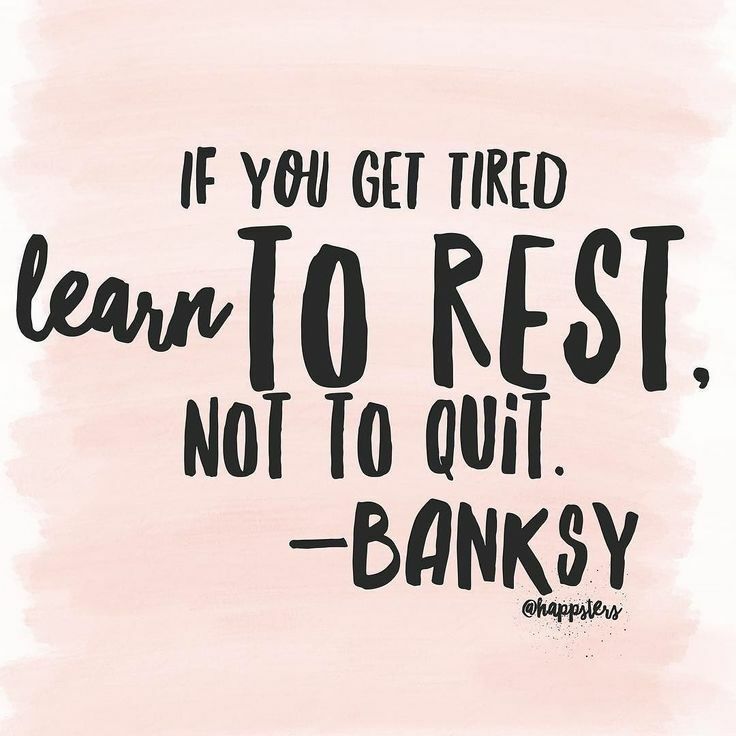 Many times we are in such a rush to meet deadlines and accomplish so many things that we forget that we need to make sure all of us is equipped to handle so much pressure. It’s okay to be unique, you don’t owe anyone an explanation for anything you chose to do or not do. I’m definitely an overthinker, and as difficult as it may be sometimes, I find it is helpful to try to focus on things that I can actually control. By doing this, I shift my mind from a place of chaos to a place of less anxiety. It’s totally okay to be different than those around us. Express your individuality and learn to embrace your unique traits. We are individually and wonderfully made! Although our past may have been difficult, we can dedicate ourselves to making sure that our future is the best time of our lives. It takes a lot of hard work to accomplish certain tasks, but the feeling of satisfaction that comes with accomplishing your goals is priceless. At times our past may be difficult to forget when we are trying to move forward. Nevertheless, the most important thing is that we aren’t what has happened to us and that we can still define our on futures. 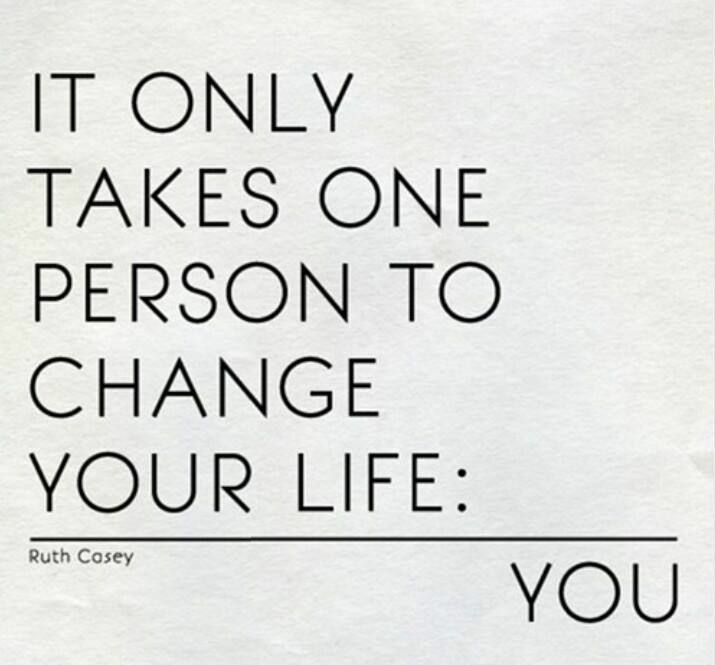 We can try to rely on others to be there for us all we would like, but the reality is that we are the only ones who can truly decide to change our lives for the better and commit to a life of recovery. Learn to move in silence, rise and grind in silence, and be excellent in silence. 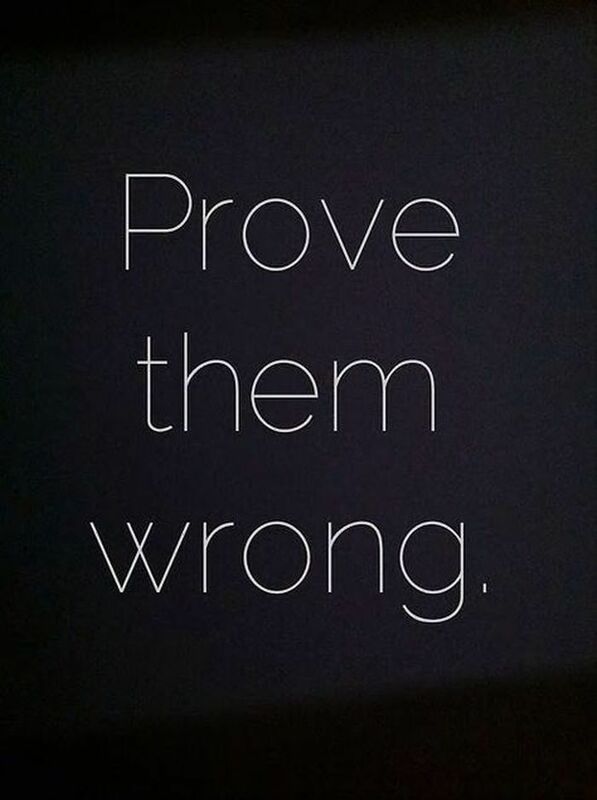 Prove everyone that has ever doubted you wrong. It doesn’t matter if today may be a bad day, if it’s been a bad week, a bad year, etc. You are capable of accomplishing great things! People have always said that the greatest gift was to have loved and lost, but maybe the better one was to have loved without limits? Being able to endure some of life’s circumstances takes a lot of patience. Nevertheless, when we stick to it, we will come out winning at the end of the day. When we want to get something done, we must set a plan into place so we can progress into the next phase of accomplishing our goal. Often times we may get stuck if we don’t have an end in sight. Sometimes we may go through things in our life that may be difficult to deal with and in the moment we may not understand the reason behind it. 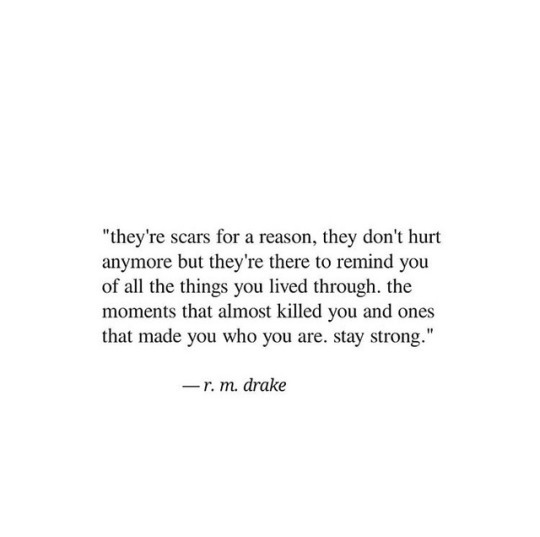 These hardships are the things that will build our character and make us the strong people we will end up being. 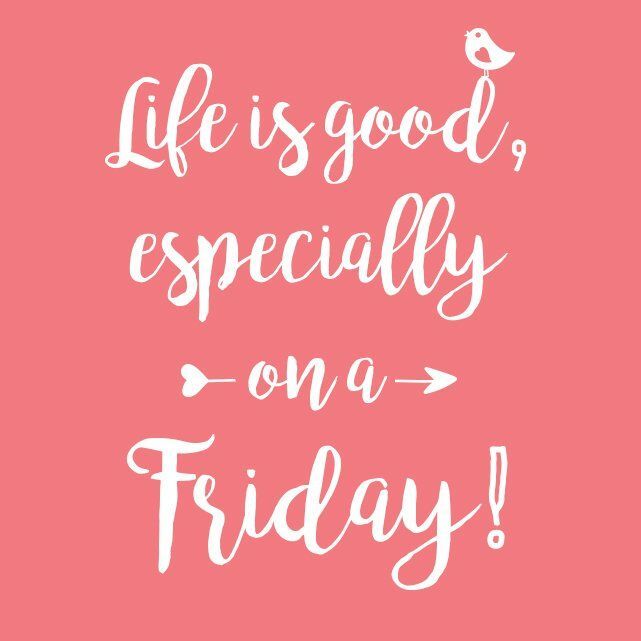 Whether we have had an easy day or a hard day, it’s always a good idea to cultivate positive vibes! All of us will do things we will not be happy with. 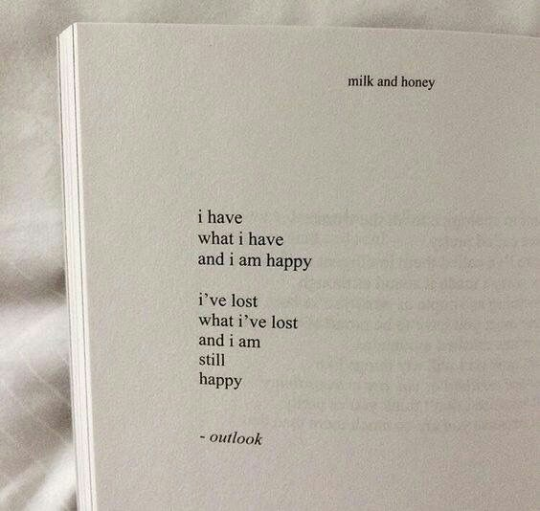 The most important thing we can do once we realize we are not happy with the end result is to remember how it felt to be in that situation and never repeat the same steps that got us there the first time. At the end of the day, we tend to be our own worst enemies. Don’t limit yourself from becoming who you truly desire to be in this world or achieving greatness. No matter what or where we come from, remember that everything we have gone through shapes us into the strong individuals we are today! No matter how bad the present may seem, don’t give up. It may seem like your current struggles are too hard to overcome, but you’ve already been through all of your hardest days and have made it through because you’re still here! 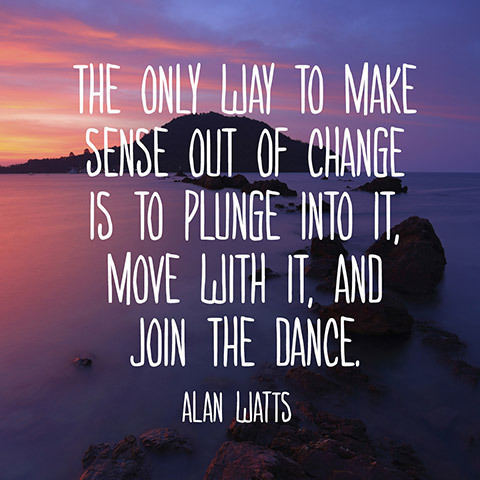 Although change can be painful at times, it can lead to the most beautiful results possible. Trust the process, and have faith that the end will be so much better than what you were facing in the beginning. Sometimes we have to know what it means to be at the end of the line before we can begin to get back up again. Sometimes we may be so caught up in the harsh realities that we are currently facing that we forget that tomorrow is a brand new day that can be completely different in so many ways. 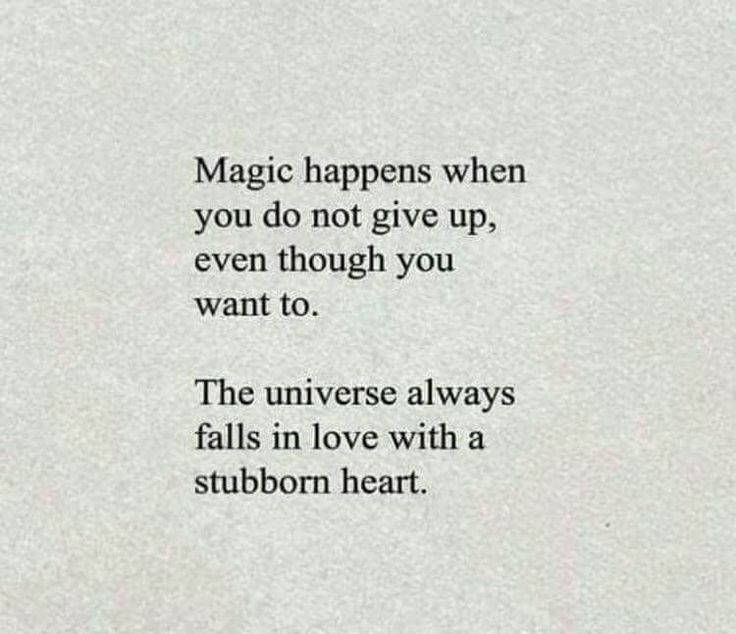 Be patient, trust the process, and most importantly, don’t give up! 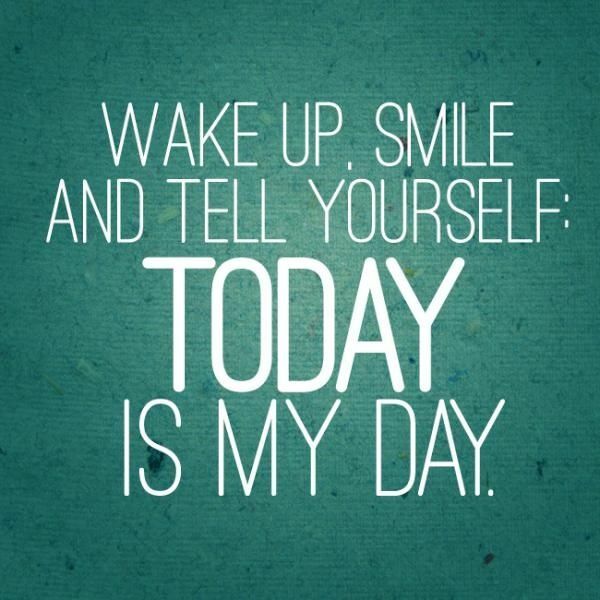 Today is the only day that you’ll get the chance to live this day, so do your best and strive for greatness! If we live waiting for the days to go by, we will never be able to enjoy what is going on throughout our journey of life. 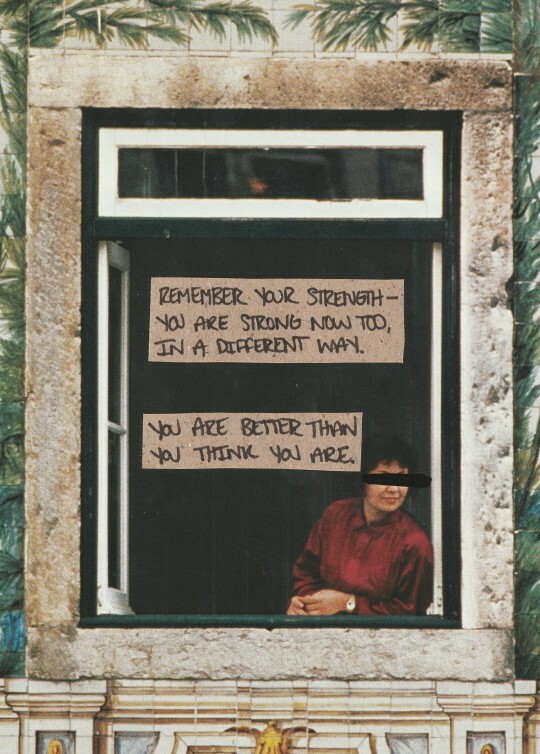 Always strive to be a better you than you were before or currently are. My growth game is strong, how about yours? No matter how hard things may get, and how much you feel like giving up or running away from your reality, DON’T!!! 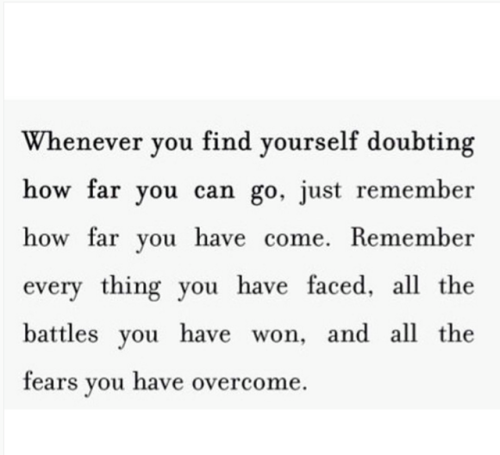 You are far stronger than you have ever imagined, and I am living proof that recovery is indeed possible! Being able to positively influence other people and being able to be there for others in a way that would have been beneficial to me when I was growing up is truly one of life’s greatest blessings! Being able to keep a positive attitude can help us remember that no matter how tough life can get some days, there is always something good that can come out of it. Keeping our thoughts positive will help us maintain a healthier lifestyle for what we THINK we are, that is what we BECOME. Often times we tend to limit ourselves and not realize how much potential we actually have. Let’s stop putting ourselves down, we are capable of doing amazing things! Instead of focusing so much energy and time on all the things that have gone wrong in the past that we can no longer fix, let’s slowly learn to work towards making our future the best one it can possibly be. After our worst days are over, after we have had the sleepless nights and the most emotional of days, that’s when we can truly sit back and realize how strong we are and how beautiful really life is. Learning to understand our value in life can take some time but once we get that we are worth fighting for we will not let anyone take us for granted. Work hard, stay focused, don’t settle for anything less than you deserve, and you will achieve greatness. Sometimes we have to work a little bit harder in order to get the things we really want in life, but in the end, it will all be worth it. Always remember, we don’t have to be perfect to be awesome and have a positive impact on this world! 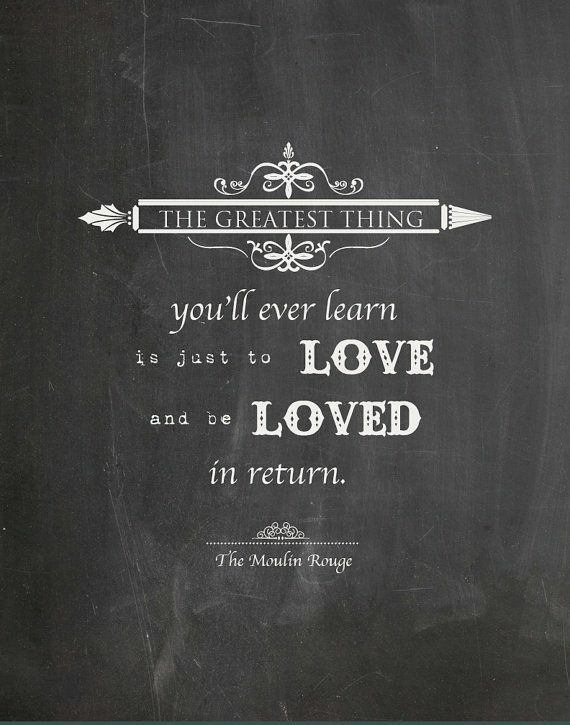 I love this quote! Although many people have told me that I would never get to the point that I am now at in my life, I am grateful to have made it this far and each and everyday I will continue to beat the odds. Recovery is possible!!! Even if we do want to make positive strides in our lives, it is important to remember that slow and steady wins the race. Not every day is going to be perfect, but if we are willing to wait long enough, we will see the good things that come in the end. No matter what life throws at you, don’t ever stop moving forward. Love every single thing about you and know your worth! When life gets tough, use all the struggles in order to help you move forward. A daily reminder that no matter how hard things may get, you are enough the way you are. No matter what others may say about us, we are unique individuals with something special to offer this world. Even if it is hard, doing what is correct and speaking up for those who can’t is always the right thing to do. Sometimes we need to become aware that we are not making the smartest decisions in life. Once we are able to do this, we can begin to change our ways and do better. Today is the start of something new. Forget the negativity from yesterday in order to be able to move forward. Looks, money, infamy, all those things can come and go, but a beautiful heart will always be beautiful. Always stick to your morals and be true to yourself no matter what life throws at you! We must always acknowledge our self-worth and know that we are fully deserving of love, happiness, and all things that are good, no exceptions. Learn when to say no, and to set appropriate boundaries. We are all valuable and deserving of good things. 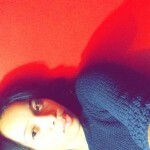 Nevertheless, we must know how to have love for ourselves first. 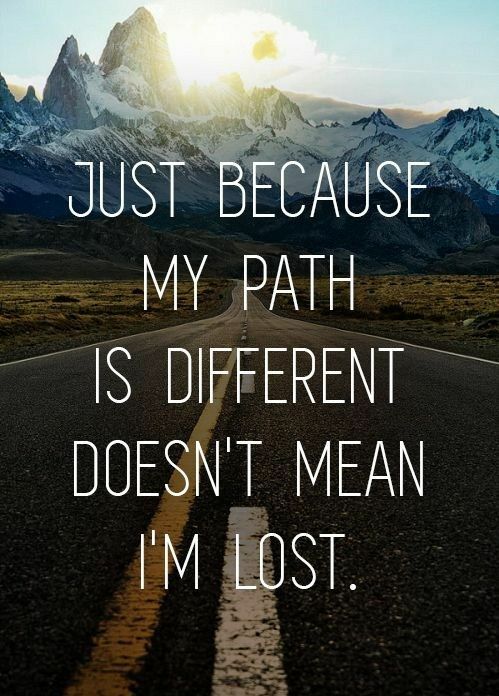 I’ve had to learn to do this along my journey of life, but I now understand that my path is different that everyone else’s. I will achieve things at my own pace, and that doesn’t mean I am any less successful. If a child can be so persistent, we as adults can definitely be too! Never give up and continue to fight this good fight called life. You were created just as you were supposed to be, nothing more, nothing less, pure perfection. 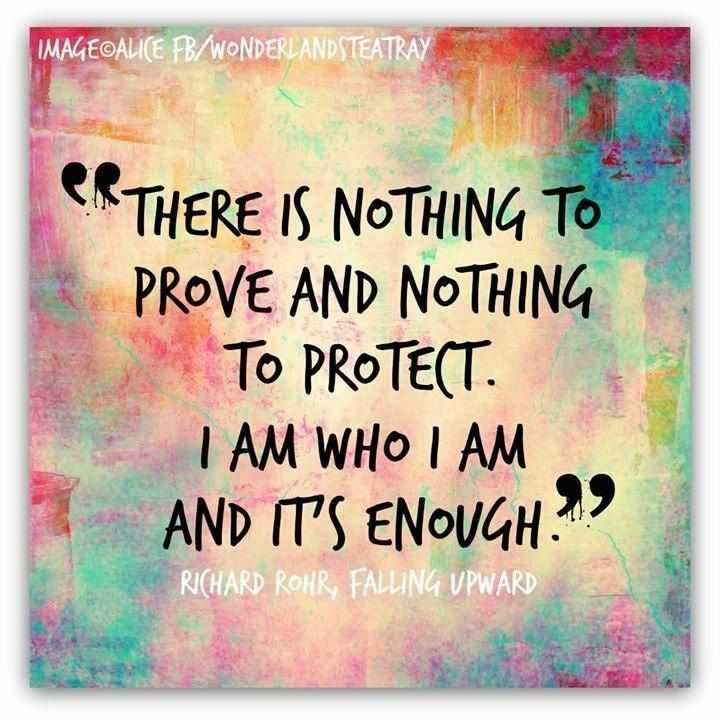 We are all enough just as we are. At the end of the day, the only opinion that matters is your own. Be you, love you, all ways, always. It is very easy to live our lives comparing ourselves to others. Nevertheless, once we are able to wholeheartedly see what amazing things we have to offer the world and come to realize that no other person can offer these things, that is when we will be truly content. It is so easy to always be negative, yet being happy takes practice. Nevertheless, when we make the choice to want to be happy, we will start to see the world from an entirely different place! It is so easy to choose to be kind, so let’s choose to do so today and always! Sometimes things happen in our lives that leave us questioning our circumstances. One day though, we will come to understand that things needed to happen for a reason, and because they did we were able to grow and learn. Only we know when we’ve had enough and when we’ve gotten fed up of going through the same painful things over and over again. That’s when we can make the choice to make a difference in our lives. I don’t think that as time passes all things will get easier. I do believe that when we come to terms and learn to accept certain situations, we will be able to deal with them better. There is always a light at the end of the tunnel, even if you can’t see it now. Just keep fighting, and you’ll make it through to the other side. We are allowed to do things according to our own timelines. As long as we are moving forward, each of of our journeys to success will look different. Take each chance you get and make it the best you can! We can choose to be upset over the mistakes we have made or learn from them and become a better person. Choosing to look at the positive things in life will allow us to remain forever grateful even when things get tough. I absolutely love this! No matter what we may be going through now, we can be in a totally different situation in a couple of days, weeks, etc. Never give up! No matter what ugly things our brain may be trying to make us believe sometimes, always remember that you have a purpose for being here. Being able to keep our thoughts positive can go a long way in terms of helping us lead a better life. 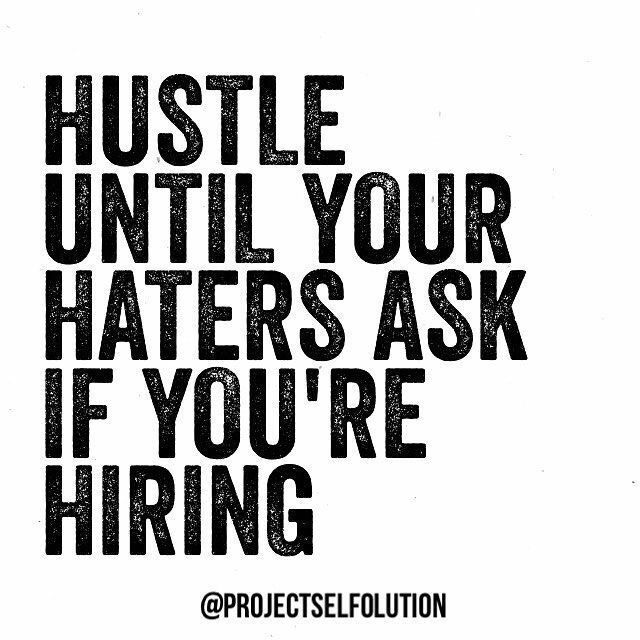 Be so successful that you’re able to prove everyone that ever doubted you wrong. 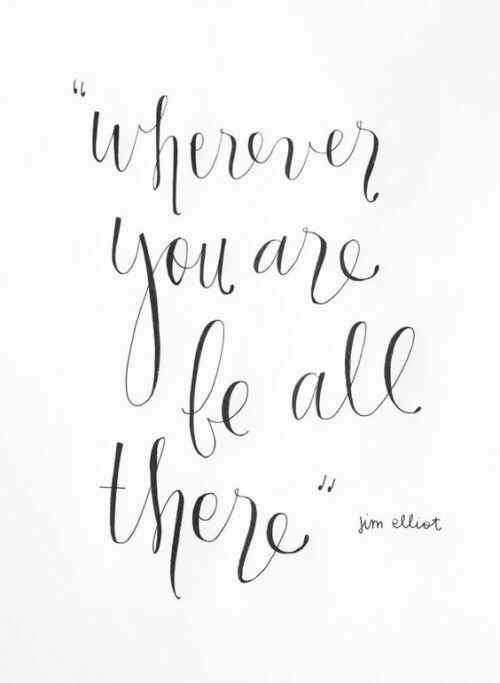 Learning to focus on the here and now can help us tremendously. I’ve been learning to only keep in mind the things that are within my control in order to help my anxiety. Even when days get rough and you feel like it’s the worst day ever, whatever you do, DO NOT QUIT!!! — Don Miguel Ruiz , The Four Agreements. — Jonathan Safran Foer // Everything is Illuminated. I had this quote stashed away for awhile. And I don’t remember who said or where I found it, but I’ve remembered it all this time because… For all the hurt we have, we laugh. We smile. We feel hope and joy and all the good despite it all, and it bubbles up and out of us in laughter and sometimes tears. If any of you are like me, you’re one of those people who’ve dealt with a lot, but tend to laugh quite a lot. 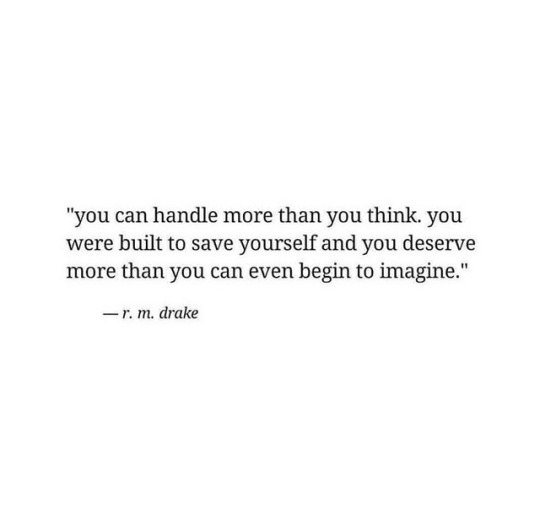 And no one should take that from you.